Want to know something fun? Camp does serious good for kids. that camp goes far beyond giggling, joke-telling and crazy games. And it matters even more to kids battling serious illnesses. Yes, actually, we do have hoity-toity research to prove it. 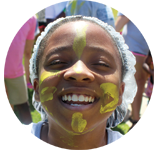 The Yale Child Study Center recently found that those who attend a SeriousFun Camp like Roundup River Ranch showed improved confidence, higher self-esteem, a greater sense of independence, and an increased interest in social activities. Their research revealed that children’s stress related to their illness decreased as a result of the camp experience. That is a healthy, happy piece of data! (background … Serious Fun Camp is the name of the camping organization founded by Paul Newman. I am sure that children who attend other good camps will have similar camp experiences). Many have heard me speak about my own healing process and that I attribute so much of my good fortune to the incredible “angels in our midst”. While I have researched this list of amazing camps and talked to people everywhere about their camp experiences (campers and staff persons), I am overwhelmed with joy. In our country, there are thousands of generous people who make camping possible for families with cancer … and for free. They volunteer all year long, as fundraisers, as counselors, as cooks and bottle washers … doing everything they can to make each camper comfortable and fearless and courageous. Doctors and nurses and social workers volunteer for a few weeks of camp. These camps, with a few exceptions, are not financed by foundations; they are funded by their communities, sometimes small rural towns, working together to make camp happen. These wise and wonderful people understand, and want to share, the powerful healing that is offered at camp … the emotional healing that comes with a sense that you are not alone, that you can make new friends who truly know who you are, that others share your fears and your uncertainties, that there is always hope, and that singing a camp song and making s’mores with your cabin-mates under a starry sky is just fantastic. I have listed many amazing camps in beautiful places all over the country, along with photos and videos of camp life. Just click on the name of the camp or click the arrow on the videos so you can find more information. Disclaimer: Nancy’s List and I do not endorse nor recommend any of these camps. Although I have done my best to evaluate these resources and to list only those that fulfill the criteria for inclusion, you will need to assess whether a camp is appropriate for your child and your family. Kesem is a nationwide community, driven by passionate college student leaders, that supports children through and beyond their parent’s cancer. We serve children who have lost a parent to cancer, have a parent undergoing cancer treatment, or whose parent is a cancer survivor. Over 5+ million children in the United States have been impacted by a parent’s cancer. In 2018, Kesem served nearly 9,000 children. Kesem is the largest national organization dedicated to supporting children impacted by a parent’s cancer, at no cost to families. Our innovative and fun-filled programs provide children with peers who understand their unique needs, and create long-lasting impact. Camp Kesem runs over 100 weeks of fun action-packed and 100% free-of-charge camps from coast-to-coast every summer. Serving children ages 6 to 18, our campers experience a warm and loving environment with other children who have similar life experiences. This community provides the foundation for confidence building, improved communication skills, and enhanced life outlook and attitude. Our camps are staffed by highly trained college student leaders. These young men and women are carefully screened through a competitive interview process and undergo extensive training prior to camp. 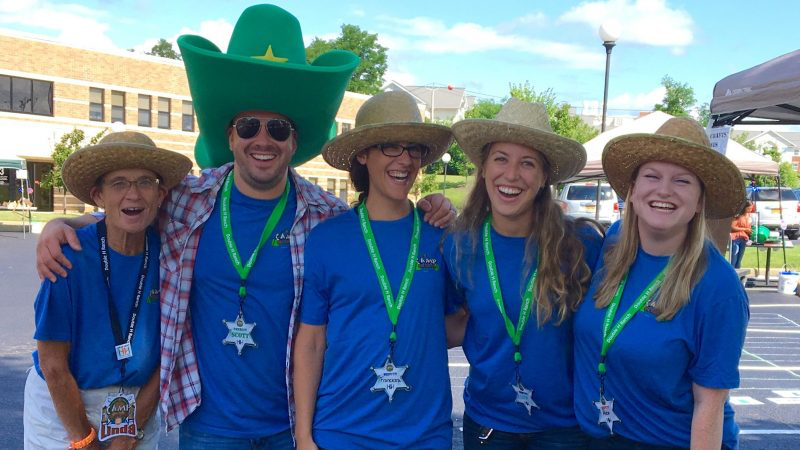 Our student leaders – many who have experienced a family member with cancer themselves – work year-round to raise funds, conduct outreach in their communities, and plan the incredible camp experience our campers will remember for life. The true power of Kesem comes from empowering passionate college student volunteers to become leaders in their own local communities. We are proud to continually invest in training, support, and leadership development opportunities for our student leaders, as they prepare to provide life-changing experiences for our families nationwide. Camp Quality serves children with cancer and their families by providing year-round programs, experiences, and companionship, at no cost. Camp Quality promotes hope and inspiration while helping children foster life skills and developing their full potential. In the USA, there are presently 15 camps established in 12 states. More than 700 children participate in our camps each summer, and many more participate in Camp Quality activities throughout the year. Camps provide kids impacted by cancer with a vital break to strengthen their well-being, build resilience independence and valuable life skills. More than 10,000 children are diagnosed with cancer every year. Our vision is that all children with cancer and their families find joy and hope through shared experiences and an ongoing support system. The goals and aims of Camp Quality are simple, yet so very important. As long as there are children with cancer, we will strive to care for them. Camp Quality is all about Hope — hope for a successful treatment, hope for a cure, and hope for the future. Smile-A-Mile’s mission is to provide hope, healing of the spirit, and love for the whole family during the childhood cancer journey. Through year-round meaningful and educational programming, Smile-A-Mile helps those in Alabama who are affected by childhood cancer thrive during treatment and the years beyond. 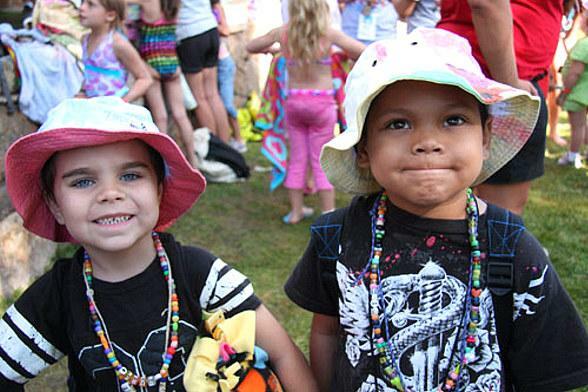 Smile-A-Mile has seven camp sessions each summer at Children’s Harbor on Lake Martin. Children’s Harbor is a separate non-profit, organization that lets us use their facility for our summer sessions. All of the sessions are staffed by Children’s of Alabama healthcare personnel who are able to care for the children’s unique medical needs. Camp Rap-A-Hope is a non-profit organization that offers free FUN for children who have or have had a cancer diagnosis and their families. We offer programs and events throughout the year that aim to bring fun to the childhood cancer journey. Our week-long summer camp is for kids 7 – 17. Camp is located in Mobile. Most campers come from communities along the central Gulf Coast … from the Florida panhandle to the Louisiana Texas border, but any child with cancer may attend. Located in the mountains near Tucson, this three-day camp in June offers a free retreat for the entire family. Camp Sunrise and Sidekicks is located at our camp property at R-C Scout Ranch outside Payson, AZ. Camper transportation is provided from Phoenix and Tucson. We offer day camp for kids 3-7 for children who have been diagnosed with cancer and their siblings. This camp is two weeks long. Family camp is offered for children ages 3-7 and their entire family to take in the Camp Sunrise Experience. Arizona Camp Sidekicks is for sisters and brothers of children who have or have had cancer, ages 8-16. 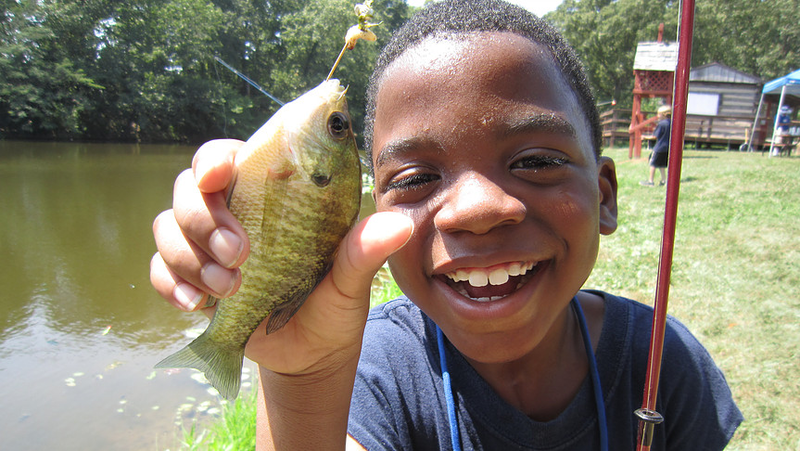 The children get to enjoy all the fun things other kids do at camp: swim, fish, hike, and canoe. They learn new skills like archery and photography. Fun art activities and music are part of some days. 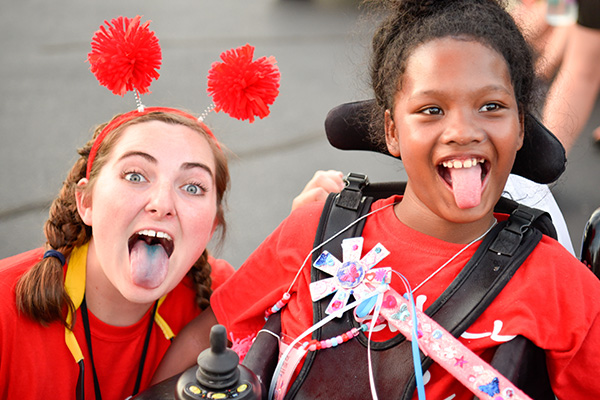 Our campers make new friends, build lasting friendships, and share once-in-a-lifetime experiences while developing a sense of independence and self confidence. Children are accepted at any stage of their disease process and in remission. Medical protocols established by the child’s physician are always followed. Should the need arise, campers can be transported to major medical facilities in Ft. Smith, Arkansas. Camp Dream Street is free of charge to camper families. Welcome to Okizu! For 35 years, Camp Okizu has offered support programs to families who have a child diagnosed with cancer. Camp Okizu has become a second family and a home-away-from-home for thousands of patients, siblings, and parents. We offer a variety of medically-supervised residential camping programs throughout the year and hope that we have a program that is right for you. All of our programs are free. and this is a place of joy, peace, and tranquility. It is very healing to be in a beautiful setting and to play again. We spend so much time in the hospital and this is the antidote. Family Camp is a chance for the patient, siblings, and parents to come together for a weekend at our beautiful facility to relax and enjoy some quality family time while building friendships with other families who are raising children through the cancer diagnosis. 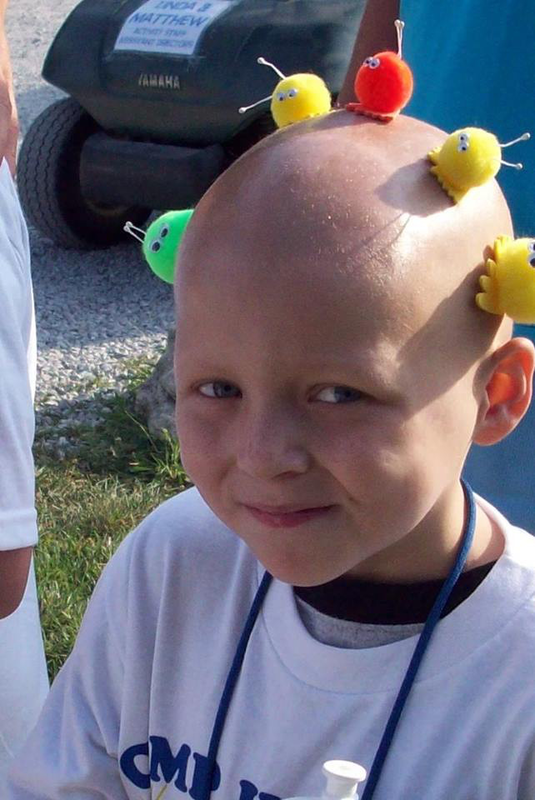 Week-long camps are for children who have or have had cancer. Oncology Camp offers summer fun and peer support for cancer patients ages 6-17 at our medically-supervised sleep-away camps. SIBS (Siblings) Camp offers week-long camps for brothers and sisters of oncology patients. It offers summer fun and peer support for siblings ages 6-17. Week-end programs are for older patients and their siblings between the ages of 18 and 25. We have week-end camps for bereaved families and for bereaved teens and young adults. Okizu is a very special camp offering a free opportunity for those living with cancer to learn independence, nourish positive self-esteem and gain skills they never thought were possible. Camp Ronald McDonald for Good Times® offers a cost-free, medically-supervised residential camp experience to any child who has or has had cancer, on or off treatment, from infancy through high school graduation. Siblings of the patient and the parents of young cancer patients can also attend. A Family Camp weekend is an opportunity for you to come together as a family to relax, play and connect in a caring environment. It is a chance to form new bonds, receive support and build friendships with other families who understand what it means to maintain relationships and raise children during treatments and procedures for cancer. Camp is designed to be fun and supportive for all members of the family, giving everyone a chance to laugh, learn and love together. Camp Sunshine Dreams is designed to offer the child who has cancer a camp experience as similar as possible to the typical summer camp. The camp is an enjoyable, stimulating and supportive environment and provides for the special emotional and physical needs of the children. Camp Sunshine Dreams has demonstrated surpassing value to cancer patients and their siblings. This camp has also been held in high esteem by parents, the medical community, the media, and the general public. The mission of Kids Konnected is to provide friendship, understanding, education, and support for kids and teens who have a parent with cancer or have lost a parent with cancer. Kids Konnected is here for you during the difficult and happy times as you go through your unique cancer experience within your family. Eleven-year-old John Wagner-Holtz established Kids Konnected in 1993 after his mother was diagnosed with breast cancer. He was feeling alone in the wake of his mother’s diagnosis and was interested in talking with kids his age going through the same experience. Jon approached Susan G. Komen, Orange County, who graciously granted him $250 to start a hotline from his house that would enable him to reach other kids in the community affected by cancer. Originally known as Komen Kids, Kids Konnected grew quickly and was granted a 501c3 non-profit corporation status in 1997. Kids helping kids is what we are all about. Because of our “Konnection” you don’t have to be alone anymore. Sean Lewis Robbins was diagnosed with Ewing sarcoma, a rare and aggressive form of cancer that affects bone and soft tissue, when he was a high school sophomore. He was a great baseball player. He had a passion for acting. In spite of a year of chemo, radiation, and other cancer-related difficulties, he graduated with his high school class in 2002. He never lost his will to live. He kept a positive outlook and always moved forward in his life, becoming a leader to other kids and teens fighting cancer. An inspirtion to all who knew him, Sean was strong and wise as he battled for his life. Seany’s Camp provides three week-long camps for children facing a cancer diagnosis and their siblings. The Seany Foundation also conducts two weekend long camps … one serving teens, both patient and siblings, that focuses on life after cancer and future career paths … and another serving families who have a parent with a cancer diagnosis. Our camper population includes pediatric oncology patients ages 4 to 17 years old and their siblings. Our goal is to give all kids coping with cancer the chance to be kids — an experience often taken away or put on hold by the disease. Even though the emphasis is on having fun, campers often informally and organically share their concerns and experiences with each other. Seany’s Family Camp will give 20 families the opportunity to spend quality time together as a family, as well as find comfort and normalcy with their situation by meeting other families facing similar challenges. Seany’s Family Campers will enjoy swimming, zip line, challenge course, rock-climbing wall, archery, hiking trails, game room, tree house and slide, basketball, tennis, meadow games, playgrounds, tetherball, horseshoes, music concerts, massages, manicures, catered meals, arts and crafts, and campfires. Activities are adjusted to meet the needs, health, and strength challenges of all participants. 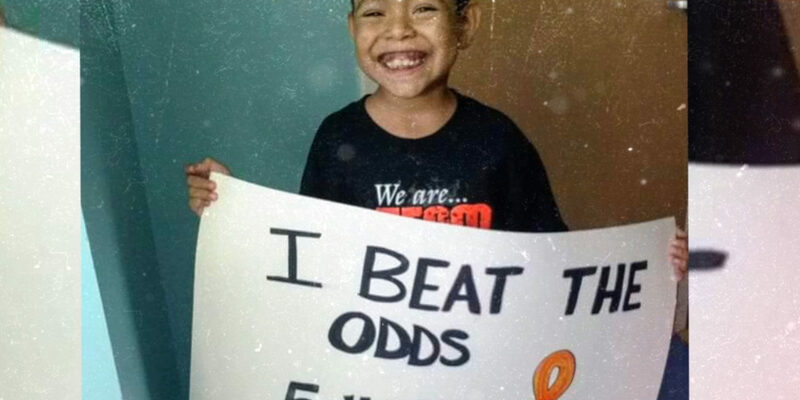 Each year in Orange County, over 100 children are newly diagnosed with some form of cancer. Combined with children already undergoing treatment, hundreds of families share a common challenge as they are all dealing with stresses that are unimaginable to people who have never been touched by childhood cancer. Medical, financial, emotional, and social hardships can be overwhelming for patients, parents and siblings during treatment. With this in mind, the Orange County Foundation for Oncology Children and Families (OCF-OCF) provides support activities, free of charge, to pediatric cancer patients and their families who live or receive treatment in Orange County. The Orange County Foundation for Oncology Children and Families (OCF-OCF) is a 501(c)(3) non-profit, volunteer-run organization providing year-round recreational and social activities designed to foster supportive relationships for pediatric cancer patients and their families. As the leading organization in Orange County for pediatric cancer patients and their families, OCF-OCF turns fear and isolation into support, friendship, and hope. We fortify the family through year-round free activities. The weekend camp is open to patients and their families. The “World’s Greatest Camp” provides an opportunity for children and families facing the stress of cancer to unwind. Fun-filled activities such as horseback riding, archery, crafts, swimming, lake activities, a campfire, and a ropes challenge course are available for children and parents alike. 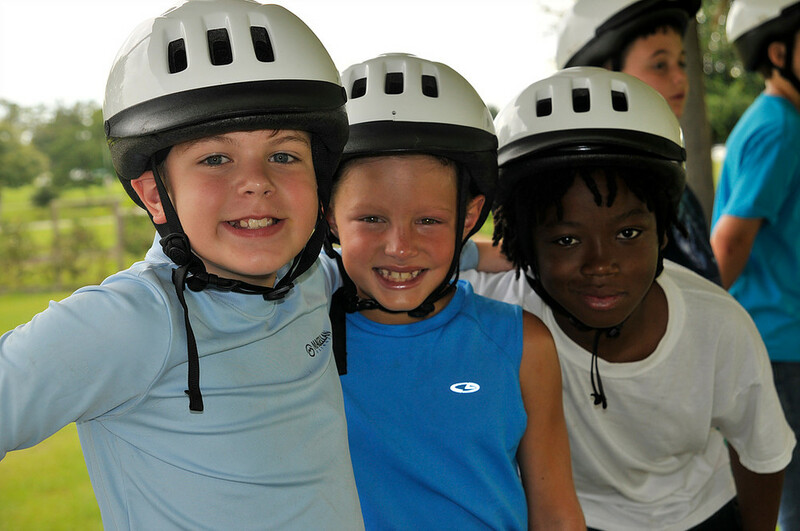 Roundup River Ranch Camp is one of 14 member camps of SeriousFun Children’s Network. Founded by Paul Newman, SeriousFun Children’s Network is a growing global community of independently managed and financed camps and programs creating opportunities for children with serious illnesses and their families to reach beyond illness and discover joy, confidence and a new world of possibilities, always free of charge. Our campers can take a true vacation from being “a patient” and get back to the fun of being a child. Here, the healing power of laughter, friendship and shared experiences offer kids the chance to make new friends, find the courage to try activities they never thought possible, and build confidence. The incredible combination of exuberant play and incredible medical care. With full medical, physical and emotional support from healthcare professionals, trained staff and dedicated volunteers, campers and their families have the peace of mind to simply live in the moment and have fun. While we focus on the fun of living life large, we also understand the very real needs of our campers. When medical support is needed, it is immediately provided – expertly, with compassion, and with as little disruption as possible to the camper’s activities. We think nothing of venturing out on a canoe to administer a medication at the correct time, rather than make a camper come in from the fun. We are a privately funded, non-profit organization dedicated to providing a free outdoor camp experience to children diagnosed with cancer. We offer the campers challenging experiences designed to provide them with coping skills to deal with living with cancer. It is a place where kids can be kids. Yes, they share this unfortunate disease, but that’s not what defines them, and it is not what defines Camp Courage. 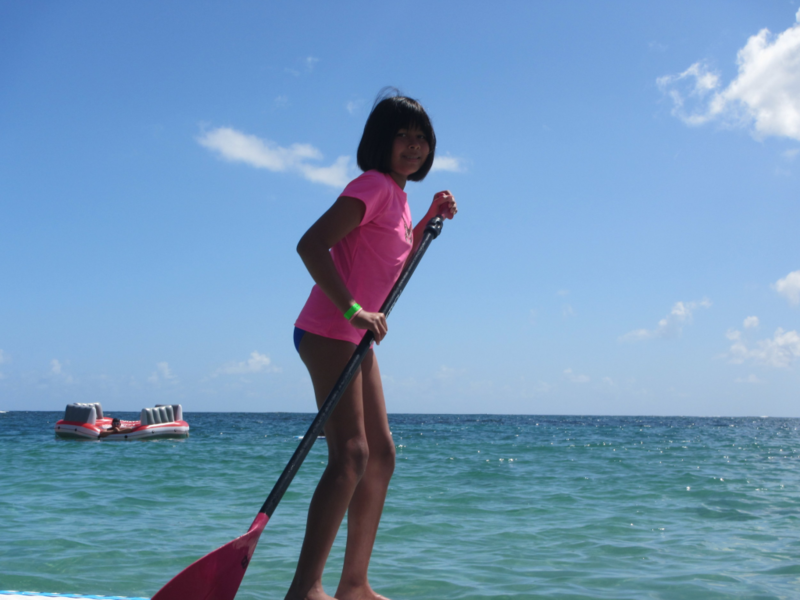 We put cancer on the back burner, immersing kids in a week of outdoor adventures and fun. Activities include fishing in an on-site pond, a zip-line, the Big Swing, high ropes course, archery, horseback riding, boating, camp crafts, and hiking. Camp Courage is housed at the Balarat Outdoor Education Center near Jamestown, Colorado, about 50 miles northwest of Denver. The facility sits at an elevation of 7,500 ft in the foothills outside of Boulder Colorado. The campers will be housed in a quaint lodge and have access to the full 700 acres of beautiful mountain terrain. Every kid deserves an unforgettable camp experience — the chance to run, laugh and play with other children. At Camp Wapiyapi, through week-long summer camp sessions near Woodland Park, children who are dealing with childhood cancer can experience those very things — at no charge. Through our unique camp experience, patients and their siblings, between the ages of 6 to 17 years old, can have a great time filled with laughter, adventure and fun. First Descents is a recognized leader in outdoor experiential programming. Through outdoor adventures, skills development, and local adventure communities, FD improves the long-term survivorship of young adults impacted by cancer. Our free program (FD1) for first timers is available to young adults ages 18-39 diagnosed with cancer after the age of 15. Using kayaking, extreme sports and professional athletes, First Descents offers young adults with cancer outdoor experiences that will forever change their lives. “I did not expect to form intense, lifelong bonds with participants. to reconnect with the active, vibrant person I was before cancer.”. Campers wake up bright and early each day to feed the cows and horses. Each camper is responsible for grooming and caring for her or his own horse, which will be the horse they also learn to ride. Horses and cows are not the only animals at Nighthawk Ranch. Camp participants will see deer, goats, rabbits, dogs, and many other species of wildlife roaming around the ranch. For kids and teenagers who love animals, this will be an experience that will stay with them forever. All one-week sessions at Nighthawk Ranch are 100% FREE! Because of our relationship with Angel Flight Central (AFC), we are able to not only accept kids from Colorado but from surrounding states as well. Travel expenses are completely paid for so there is absolutely no cost to the families. With all the care and support of the staff and volunteers, the natural beauty of the land, the wonder of the wildlife, and all the activities, campers will have the time of their lives. At Nighthawk Ranch kids and teenagers can do what they do best … just be kids! Sky High Hope Camp is a one week summer camp for children with cancer and their siblings. The facilities at the camp include cabins with electricity and bathrooms, an infirmary, a dining room, and a camp store. 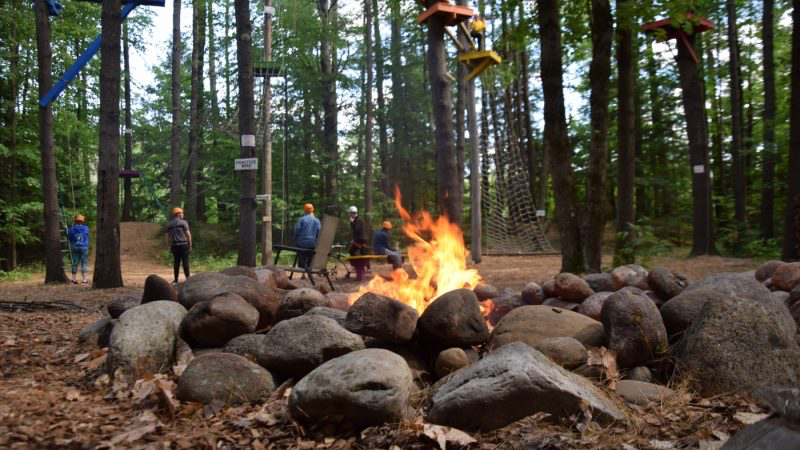 The campers participate in a ropes course, nature studies, lake waterfront for canoeing and fishing, arts and crafts, volleyball, archery, a dance, camper skits and music. Campers are encouraged to participate in all activities; however, campers may opt out of any activity. The camp staff is composed of volunteers from many walks of life who have been specially selected for their interests, professional credentials, ability to work with children in the outdoors, and their skills in many program areas. The staff is trained in the special needs of children who have cancer and their siblings. There is always medical staff on-site able to provide needed medical care, administer medications and chemotherapy. The variety of programs gives the campers opportunities to build social skills, forge friendships, and just be a ‘regular kid’ … having fun while experiencing mountain activities in a safe environment. There is no charge for campers. Paul Newman, while a successful actor, was also a visionary with the heart of a child. 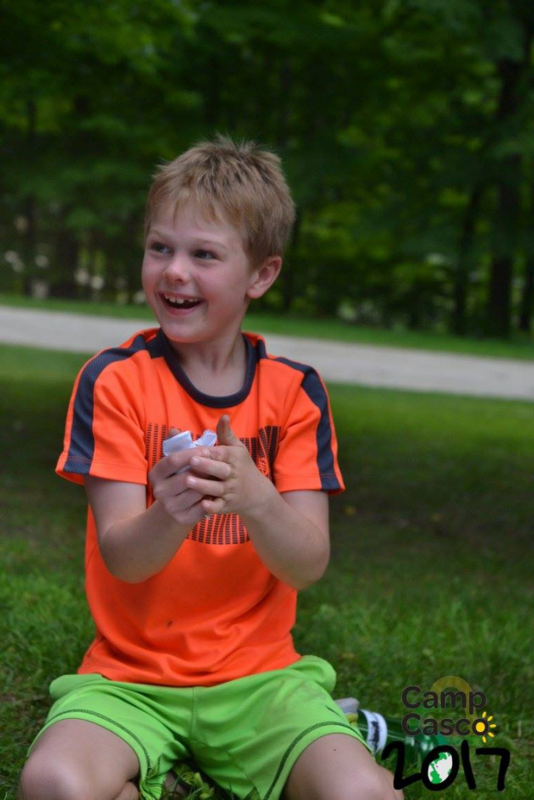 His personality, playfulness and mischievousness are infused within every corner of Camp, from the pirate flag he raised on the tree house to the days he spent on the lake fishing with campers. It was Paul’s dream that Camp, with its unobtrusive expert medical care, would provide seriously ill children with a fun-filled experience defined by compassion, laughter and acceptance. Newman announced his plans to build The Hole in the Wall Gang Camp in 1986, and in June 1988, Camp opened. 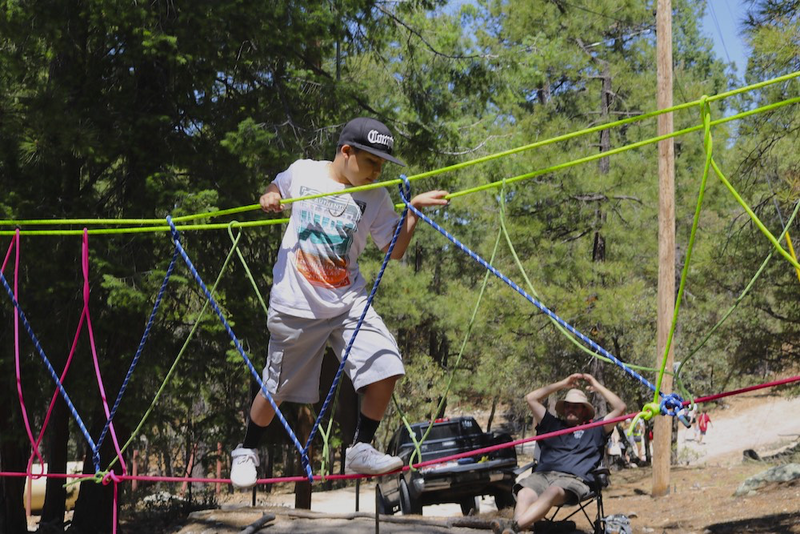 When the campers arrived, they found a kid-sized old west setting inspired by “Butch Cassidy and the Sundance Kid,” and filled with traditional summer camp programs adapted so that children with physical and medical limitations could participate. The accessibility of the programs along with a significant, yet medical presence allowed campers to embrace possibilities and safely challenge perceived limitations. Among kindred spirits facing similar challenges, they escaped isolation and found a community defined by acceptance. We are a community that includes the kids and families we serve, the volunteers and staff who help us make a difference, the partners and donors who support our mission, and the alumni who keep our community strong. Together, we make “a different kind of healing” possible! We are not defined by our illnesses and we certainly don’t let them slow us down. We are kids like every other – looking for fun, friendship and the chance to raise a little hell. We find that through a variety of Hole in the Wall programs at Camp and beyond. We are artists, swimmers, horseback riders, song-singers and bushy-tail-shakers. We love to laugh and create a little mischief with our new friends, while finding out together that we are capable of so much more than we ever imagined. As former campers, staff and volunteers, our Camp experiences helped to shape who we are today – so we keep the Camp spirit alive by staying involved in events and connected to old friends. “Our day-to-day lives aren’t the same as other families. is the support, acceptance and friendship of our Camp community. Our core values are the principles that guide both strategic decisions and daily behavior rooted in the philosophy and vision of the Camp’s founder. Safety: The care of children with serious illnesses is both a serious responsibility and a serious privilege. Physical and emotional safety is paramount in all we do. Camaraderie: We create a community that fosters friendship, inclusivity, a little bit of mischief and a whole lot of laughter. Possibility: All aspects of our community are designed to allow every individual inspired by Camp to believe that the impossible can be possible. Appreciation: We recognize the generosity and gratitude of others and intend to exemplify that in all our decisions and actions. We remain grateful for the original dream of our founder to pair good fortune with misfortune, and we cherish the friendships we have with all inspired by Camp. Camp Rising Sun provides a safe, nurturing environment for kids who have faced cancer so that they may grow and learn from their experiences to become the best they can be. Camp Rising Sun welcomes any child aged 5-17 who has faced a diagnosis of cancer to a week of fun and friendship. Campers can be in treatment, in remission, or anywhere in between. Camp is held in the beautiful hills of Colebrook, Connecticut at the facilities of Camp Jewell, a YMCA campground. Campers stay in heated cabins with other children in their age group along with a dedicated staff. There is no cost to attend camp. Our mission at BASE Camp Children’s Cancer Foundation is to provide a year-round base of support for children and families who are living with cancer and hematological illnesses. We Believe Every Child Deserves a Childhood. We Achieve the Impossible Every Day. We Support Patients & Families. We Educate So That You Can Help Us. Our programs offer a place to stop along the journey for rest, nourishment, encouragement, and strength to finish the climb. Our children range from infants to 19-years-old. We serve children who are ill with cancer or other hematological diseases, their siblings, and children of parents who have cancer or hematological diseases. We focus on providing a year-round series of programs to help children and families along the journey of cancer and hematological illnesses. 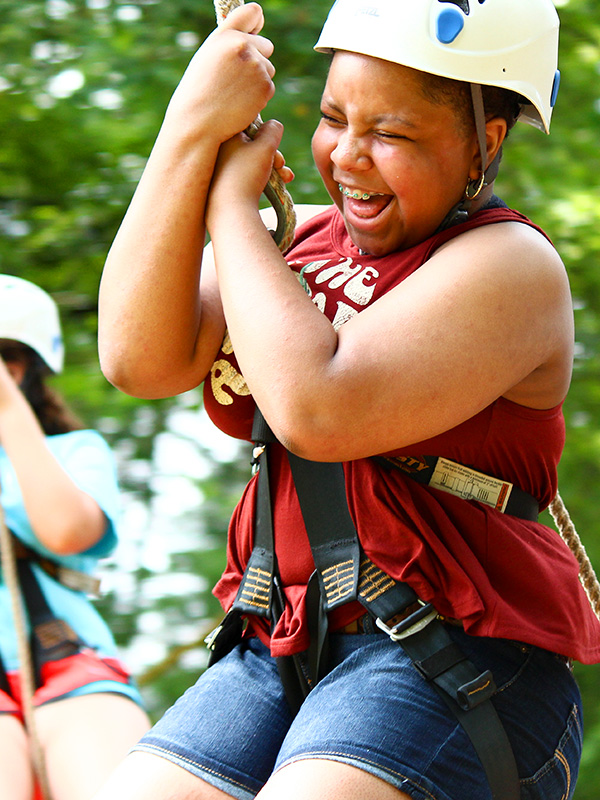 Camp Bogey Creek is one of 14 member camps of SeriousFun Children’s Network. Founded by Paul Newman, SeriousFun Children’s Network is a growing global community of independently managed and financed camps and programs creating opportunities for children with serious illnesses and their families to reach beyond illness and discover joy, confidence and a new world of possibilities, always free of charge. but instead, just like them. Our mission is to foster a spirit of joy by creating a free, safe and medically-sound camp environment that enriches the lives of children with serious illnesses and their families. 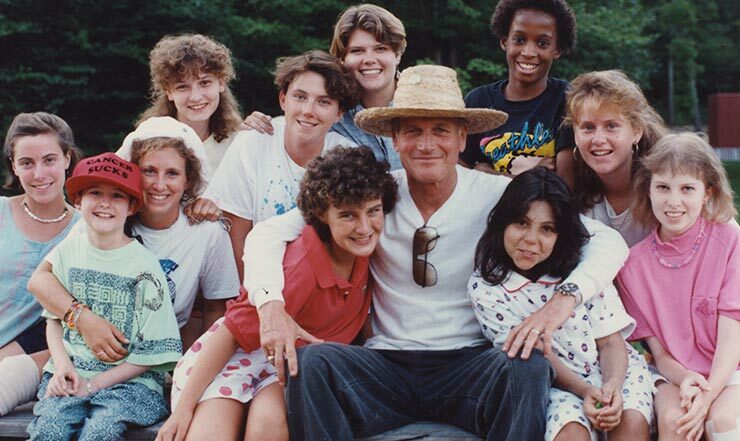 Camp Boggy Creek was founded in 1996 by Paul Newman and General H. Norman Schwarzkopf, with one simple premise in mind, that every child, no matter the illness, could experience the transformational spirit and friendships that go hand in hand with camp. Enriching the lives of children who have chronic or life-threatening illnesses by creating camping experiences that are memorable, exciting and fun. I have had since being diagnosed. The camp medical staff and facility accommodates children with many kinds of special needs, from bandaging a minor cut to administering chemotherapy. The medical presence is purposely kept in the background so the children can concentrate on filling their days with all the fun of a good old-fashioned camp experience. Siblings attend with a brother or sister who has/ had cancer for either 1+ week of camp or a weekend retreat. Our day camp, year-round and in-hospital programs are always offered completely free of charge. A four-day retreat for teens with cancer including a visit to a theme park, day spa, and social events to bond with other teens who share their experiences. Heart of Passion is the core of outreach for Teens with cancer. Our Motto: For Teens From Teens! is centered on high school student leaders from Atlanta, Charlotte, and New Orleans dedicated to bringing fun to fellow teens who happen to have cancer. Through our Red Carpet Day (RCD) retreats, we provide positive unique experiences for teens with cancer to anticipate, enjoy, and make memories to share – positive memories to help balance out the negative uniqueness that cancer brings to their everyday lives. We hold annual retreats in 3 major cities and candidates are selected through local hospitals and social workers. I went to Camp Sunshine for the first time last year. and I wasn’t going to make any friends. I asked multiple times did I have to go. I had made friends and was having the time of my life. The best activity at camp was Wacky Olympics. I tried my best to avoid getting in the car and going home. Now I’m just waiting for summer this year. throughout the whole time I had cancer. 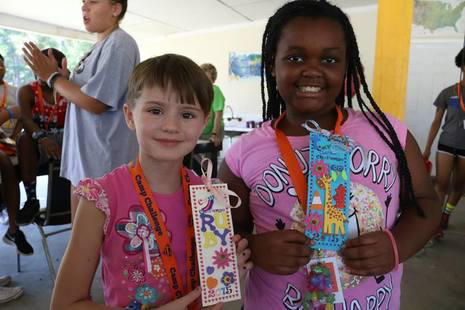 After attending Camp Sunshine, campers bring home more than just dirty laundry. They bring home unforgettable memories and long lasting friendships. They bring home tales of tasks accomplished that, before, were thought of as unattainable. They come home feeling more confident in themselves and more secure with their illness. It is amazing how one week at Camp Sunshine can truly make a difference in their lives. 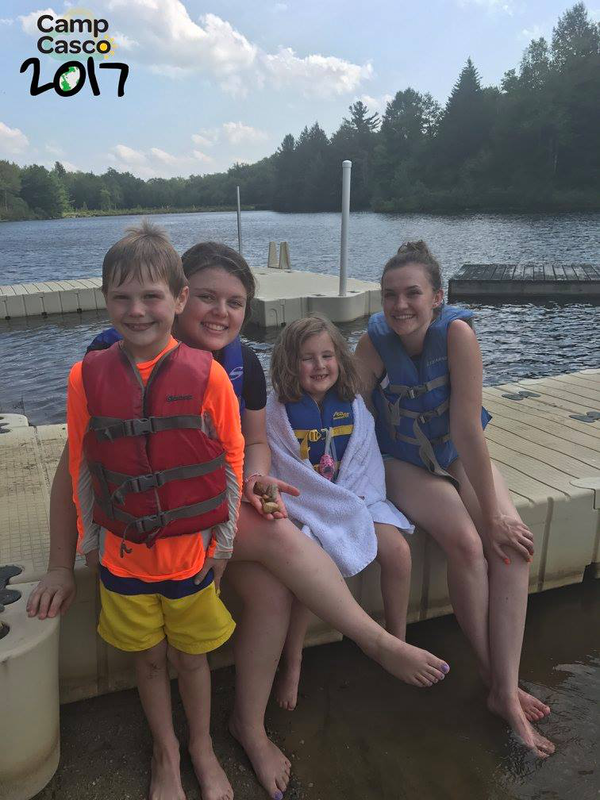 Camp Twin Lakes provides year-round, fully-accessible, and camp programs that teach campers to overcome obstacles while creating shared experiences with other children who face similar challenges. After spending every other day of the year adapting to the world around them, for one week, camp adapts to them. The magic happens at our camp sites in Rutledge, Winder, and Warm Springs, Georgia. Our Camp-to Go program reaches even more children and brings joy to families that call the hospital home. Camp-To-Go designs camp programs to match patients’ abilities, while also helping them reach goals set by the clinical team. This experience brings families and children on the hospital floor together so that they can connect over fun activities. If one patient makes a friend during our time together, we were successful. The experience comes complete with an “indoor campfire” and s’mores! The cancer experience does not stop at remission. Survivors not only have to deal with the physical repercussions of their cancer, but also the mental and emotional trauma. In many cases, the side effects of treatment do not appear until many years after remission, making the cancer experience a life-long journey. Here at Camp Anuenue, we believe our program is vital in providing a community of understanding and support where children can heal together. We hope that this experience will provide the encouragement and confidence to not let cancer restrict or define their lives. 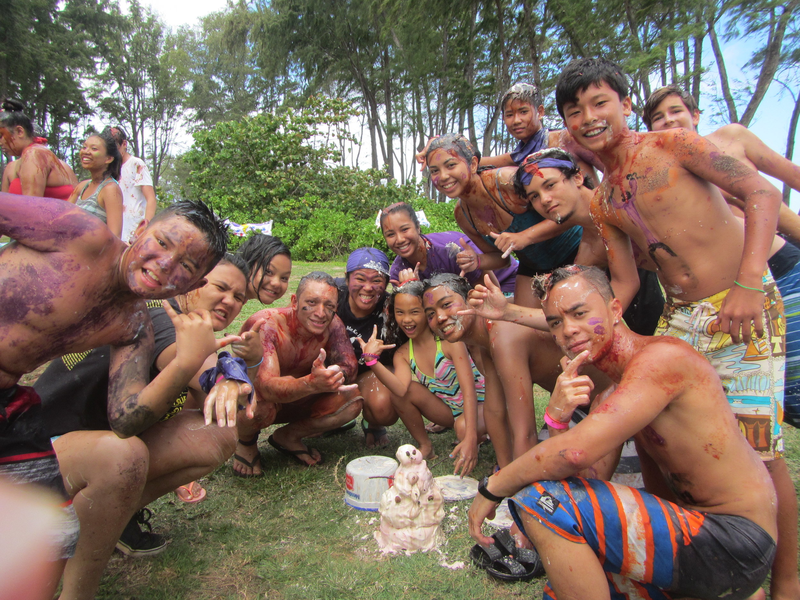 Camp Anuenue is open to children ages 7-18 who have or have had cancer and live in Hawaii (all islands). 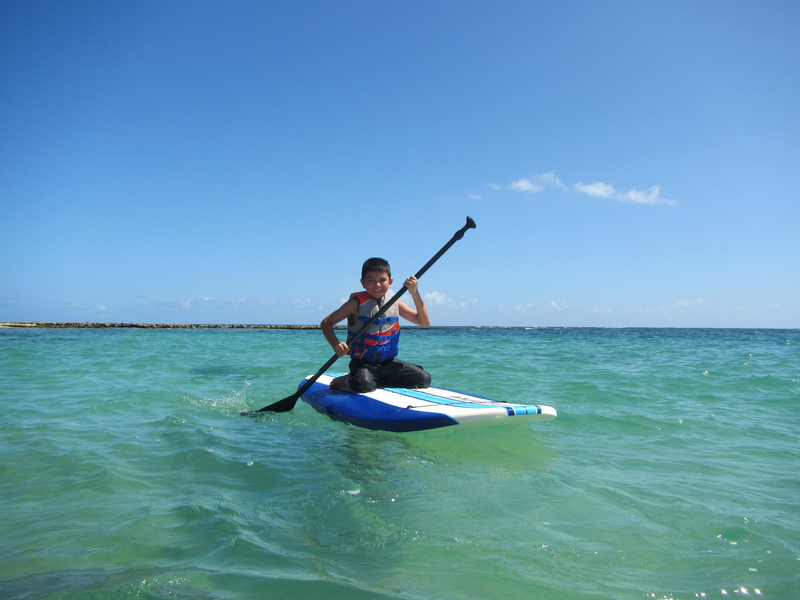 We also accept children from U.S. territories in the Pacific including Guam, Saipan, Samoa and Marshall Islands. We have campers who are in active treatment as well as long-time survivors who continue to receive medical attention from our doctors and nurses. Camp Anuenue is located on the beautiful North Shore of Oahu. The grounds of Camp Mokule’ia provide a peaceful backdrop for a magical weeklong experience. After waking up in a beachside cabin, campers spend the day participating in activities of their choice ranging from swimming in the pool or ocean, flying down the zipline to harnessing their creative energy at arts and crafts. The environment encourages events that strengthen relationships including singing songs around the campfire, spending mealtimes together in the cafeteria and engaging all age groups in Ohana team-building exercises. Although fun is the primary focus of the week, there are times when the very real and difficult emotions need to be addressed. The serene atmosphere of Camp Mokule’ia is one of the best environments for these therapeutic moments. While sad, these serious times allow our campers and staff to build lifelong bonds in one short week. Experience the magic that happens when people come together to create emotionally empowering experiences for Idaho children diagnosed with cancer and their families. Camp Rainbow Gold is an oncology camp, a sibling camp and a family camp. It is a teen support group and a college scholarship program. Camp Rainbow Gold is a celebration of life. The Camp Rainbow Gold oncology camps are divided by age — youth camp for children 6-12 and a teen camp for children 13-17. Each week hosts approximately 50-60 children for a week of discovery and outdoor fun. Swimming. Sharing. Singing. Hiking. Playing. Fishing. Horseback riding. Dancing. Storytelling. Laughing. Painting. Biking. Memory making. Creating. Dreaming. Living. A full medical staff and a licensed social worker keep a careful and nurturing watch over the medical and emotional needs of every camper. Highly trained camp staff and volunteers aim to provide a fun, safe and caring community for the children. Children meet other children undergoing similar experiences who can share a bond only found here. 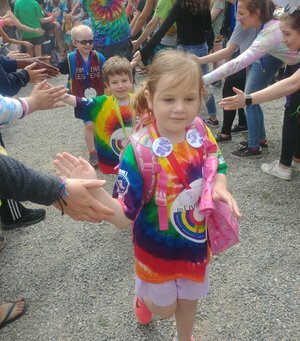 Most campers return year after year, building on old friendships, adding new ones and eagerly welcoming first-time campers into the Camp Rainbow Gold family. As the campers get older, they still want to come back. And they can. The Junior Counselor program brings them back to the camp to mentor their young friends. Siblings of children diagnosed with cancer also experience a strong emotional and social impact. Oftentimes, siblings feel overlooked as the parents and other family members turn their attention to treatment and other considerations that coincide with a cancer diagnosis. Just as the child with cancer needs support, attention and care, so do their strongest supporters — their brothers and sisters. Camp Rainbow Gold Sibling Camp plays hosts to approximately 80 siblings. Over the course of several days, the attention turns to these children who also need the chance to have fun and make friends with other children who understand them. Camp Rainbow Gold is free to campers and their families. 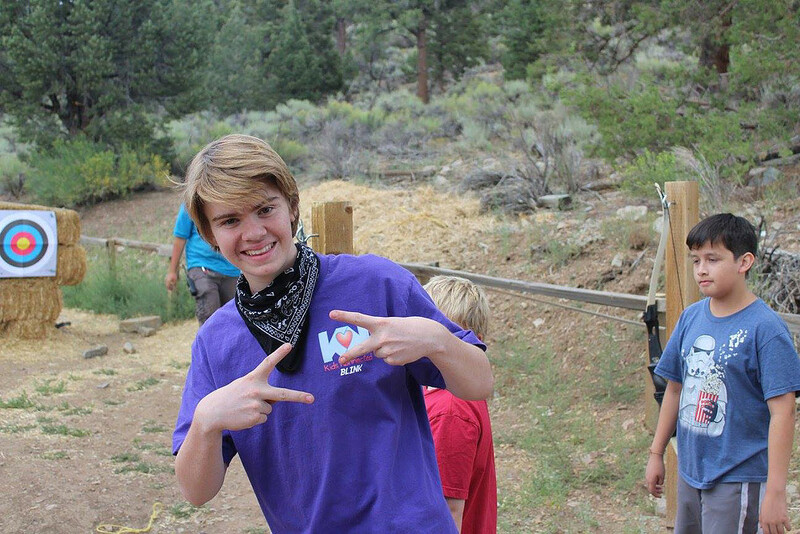 All camps take place over the summer in the Sawtooth National Forest near Ketchum, Idaho. Recharge. Reconnect. Refocus. Camp Rainbow Gold Family Camp offers families a chance to focus on each other and enjoy the simplicity of camping. Approximately 20 families of children with cancer meet others who face the same challenges. 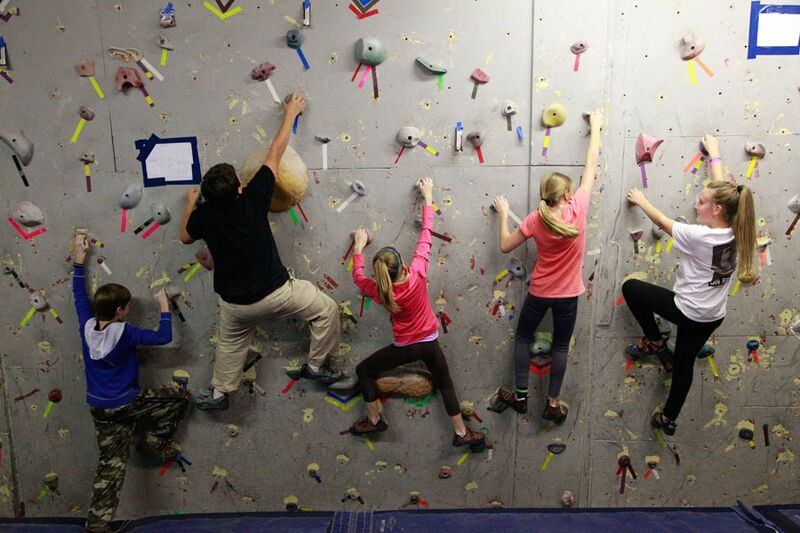 Climb a rock wall. Try your hand at archery. Take a bike ride. Hike and play and relax. But most importantly, do it together. Provides river adventure programs to cancer survivors, both teens and adults. Located in Salmon, Idaho, deep in the heart of the Salmon River Country on the doorstep of the largest wilderness in the lower 48 states. Offers river adventures for survivors of childhood, teen, and adult cancers for free. These programs, which last between one and 6 days, give survivors the chance to hike, swim, raft, paddle board, and kayak while learning about natural history, canyon history, and camping skills. Activities can be customized to accommodate any fitness level and no experience is required. River Discovery offers outdoor adventures for cancer survivors that promote healing and strengthening of the mind, body and spirit. We work year-round to create, build, and fund life-changing outdoor adventures for cancer survivors and the people who love them. Programs are created to inspire, empower, and heal survivors of all ages and with any diagnosis. Camp Hobe is a special summer camp designed for children with cancer and their siblings. At Camp Hobé, campers have the opportunity to rediscover self-confidence and build meaningful friendships. Children of all ages make lifelong friends that understand. Campers come from Utah, Idaho, Wyoming and Nevada. I loved doing the string art, it was super fun. it was just nice to get away. Camp is the best part of my summer. with the most amazing teens I’ve ever known. I overhear them having with each other cause me to reflect deeply. they deal with these life-altering trials is sobering and inspiring. the world would be a little better. By the end of camp, people are more kind, and everyone feels closer. I love that Hobé is a place I can speak openly about my sister’s cancer. Everyone is so welcoming and they make me feel like family. I love everyone here and they always make me happy. We do the best crafts, activities, and we always have the best food! I connected with a girl who has the same kind of cancer I had. We talked as we walked together and we strengthened each other. even in the worst circumstances. Her positive and hopeful outlook on her situation inspired me. and to recognize how amazing it is to have medicine that works. and my heart hurts for their families. I love the activities and people here. These kids are selfless and great examples to me. It’s awesome to see them grow and go out of their comfort zone! All the campers are really fun to be around and put a smile on my face. I look forward to this camp each year. Camp has helped me to get away from the world and feel loved. including staff and counselors are so kind and non-judgmental. and that my trials do not define or lower me as a person. Thank you to everyone here who was able to help me and others. I love you guys and I love Camp Hobé! Our medically supervised camp program began in 1986 as a break from hospital and clinic visits for children with cancers and related blood disorders living in downstate Illinois communities. Camp COCO is a member of the Children’s Oncology Camping Association International (COCA)—an organization that establishes safety and operational guidelines and practices specific to camps for children with cancer. More than 140 children, ages 6-17, attend Camp COCO. Siblings of young campers may also attend. Camp week is held during the second week of July at an ADA (Americans with Disabilities Act) compliant camp in the heart of central Illinois to accommodate children with disabilities resulting from their cancer treatment. Around-the-clock care is provided by SIU School of Medicine’s pediatrics staff volunteers including an oncologist, nurses, child life specialists and other area health professionals. A full staff of qualified counselors is also on-site at all times. Camp COCO is about building self-confidence. 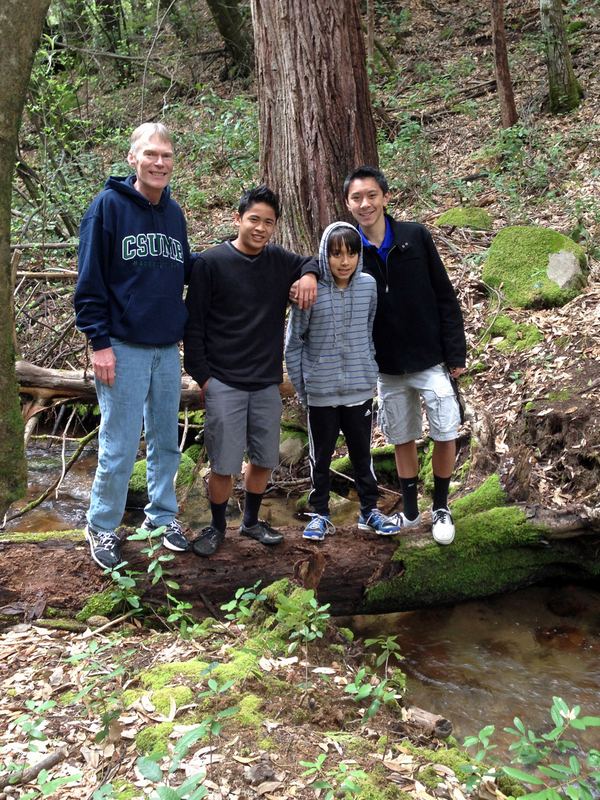 For many campers, it is their first time away from home and their first experience in nature. Campers participate in a range of camp activities: swimming, fishing, boating, horseback riding, arts and crafts, archery, nature hikes, visits from local celebrities, games, dances and campfires. Camp COCO is about the bonds of friendship and hope. Camp COCO uniquely offers children emotional support and acceptance. Campers build strong bonds as they share their thoughts and feelings that only others with a cancer diagnosis can understand. The friendships also bring hope when campers meet recovering children diagnosed with the same disease. Camp COCO is about supporting families. 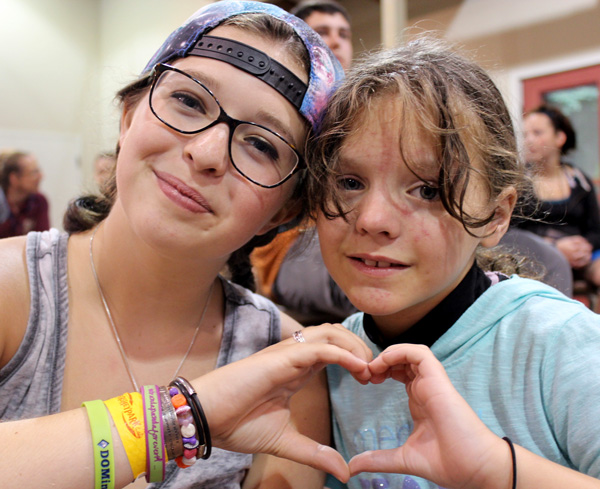 Camp week is a family respite from the daily concerns of caring for a sick child. Families never have to pay for a child to attend camp. Camp One Step exists to heal these scars that no one can see. Through community support and shared experiences with peers, we deliver happy, pain-free medicine called “camp.” We empower children to find new hope and believe again in a brighter future. “There is no other place on earth that can match the happiness and joy of going to camp. Going to Camp One Step made a big change in my life. I will never regret going to Camp One Step. Seeing so many friendly faces can really put a smile on your face. that can match the happiness and joy of going to camp”. Our summer camps and other programs give these children the chance to enjoy outdoor fun and adventure. 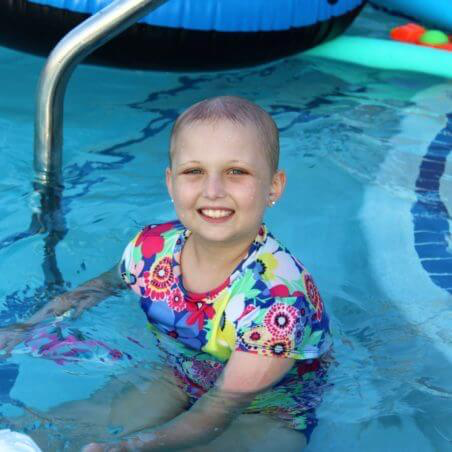 Treatment Camp: For children ages 8-14 who are undergoing cancer treatment or in remission. 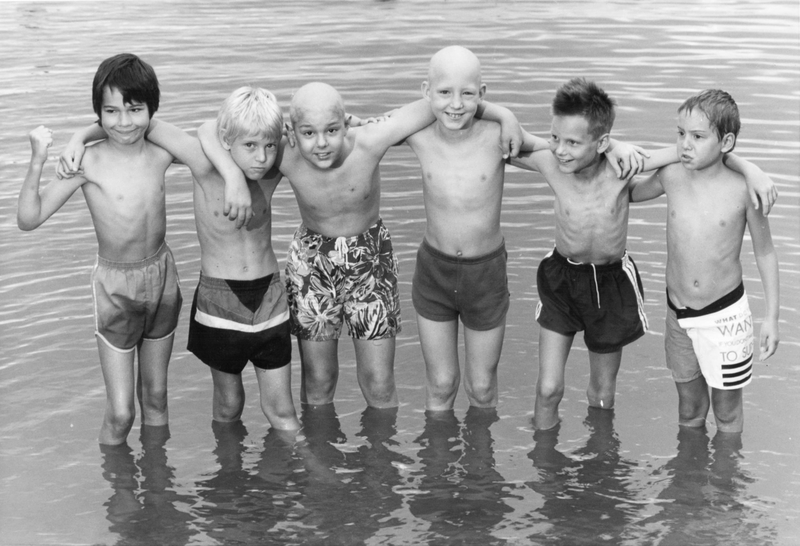 Children find a place outside the hospital where they can feel like a “normal” kid again, where being bald is not unusual and other campers can relate to what they are going through. Sibling Camp: For children ages 8-14 who are siblings of childhood cancer patients or have lost a sibling to cancer. Siblings find a place where they are just as special as their brother or sister on treatment, and they find friends that understand their complicated feelings. They get a week to have fun and be free of the typical stress in the home of a seriously ill child! LIT Camp: (Leaders in Training) For teens ages 15-17 with cancer or in remission and teen siblings of children with cancer. Teens learn what it means to be a counselor for children on treatment and their siblings and a leader in their school or community. They also get a week to participate in fun activities, share their own feelings, and make friends that last a lifetime! Mission Statement: To foster a spirit of joy in a fun, safe and medically-sound, urban recreational environment that builds self esteem, independence and friendships for children living with cancer. For our 2018 “Into the Wild!” camp experience, we served 31 amazing kids ages 7 -17 from the Chicago area. Camping activities, held at the hotel and near-by locations, included campfires and cookouts, camp songs, skits, arts and crafts, games and a talent show. We had the opportunity to enjoy many events and attractions throughout the city and surrounding area – Rock Climbing and Yoga sessions at Brooklyn Boulders Chicago, a visit with monkeys at the hotel, a barbecue dinner, swimming and campfire at Evanston Golf Club, a special cooking session with the Palmer House Pastry Chef Fabric, a visit with Chicago Police Department’s SWAT Team, Bomb Squad, K-9 and Mounted Units, a make-your-own-pizza party at Homeslice, a Lake Michigan dinner cruise with dancing and fireworks, a fun-filled beach day with the Chicago Fire Department’s Air & Sea Rescue Team on Lake Michigan, a Variety Show and the unique Talent Show in the Palmer House’s Empire Room. What an exciting week! Parents, siblings and families were invited and welcomed on camp opening day and our camp closing ceremony and social. which will touch the lives of many campers and their families. Camp Kids Are Kids Chicago first five years have been huge successes and incredible fun for our campers, where they learned life-skills, team building, coping mechanisms and found support, acceptance and friendships which extend into their everyday lives. We look forward to CKAKC 2019 and we invite you to join us in this phenomenal event for kids with cancer. How do you feel about coming to camp? What was something new you learned at camp? What was the funniest thing you did? What was the worst thing you did? We are committed to providing opportunity and support to every child living with cancer, their families and communities regardless of their medical circumstances through ongoing quality recreational activities. From the day camp is over, Camp Watcha-Wanna-Do campers are already looking forward to next summer’s week of fun — and normalcy. The campers have lived through cancer and the aftermath of physical and emotional concerns. They know they are just a little bit different from the other kids. Here at Camp Watcha-Wanna-Do, each camper experiences seven days of freedom and acceptance. Campers find friends who understand the disease, but rise above it, unhindered and able to do anything they want to do. Watcha-Wanna-Do? Do it all at camp! 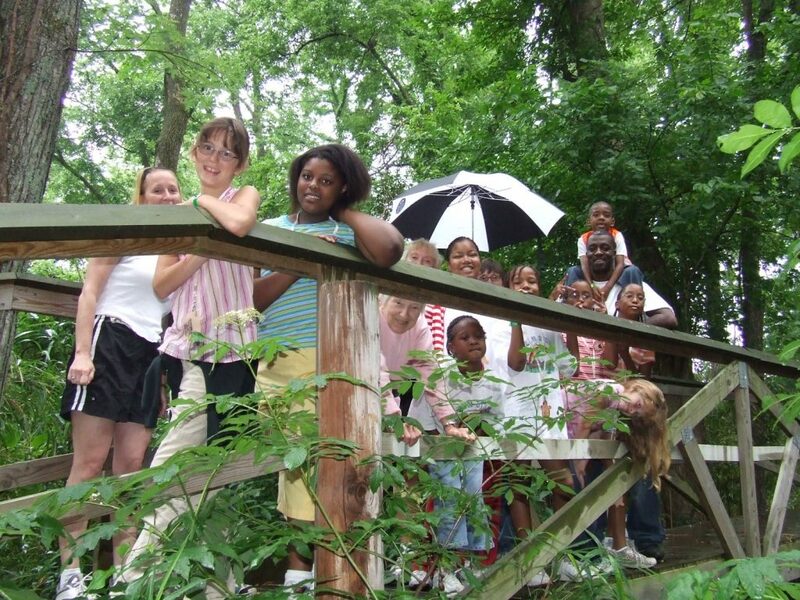 A one-week summer resident camp program is offered to children 7-18. Campers may bring one sibling. Kinder camp is a one-day camp for children under the ages of 7 who are cancer survivors and their families. It is held on the Wednesday of resident retreats and trips are held a few times a year as are activities such as pizza parties, bowling, amusement parks, etc. 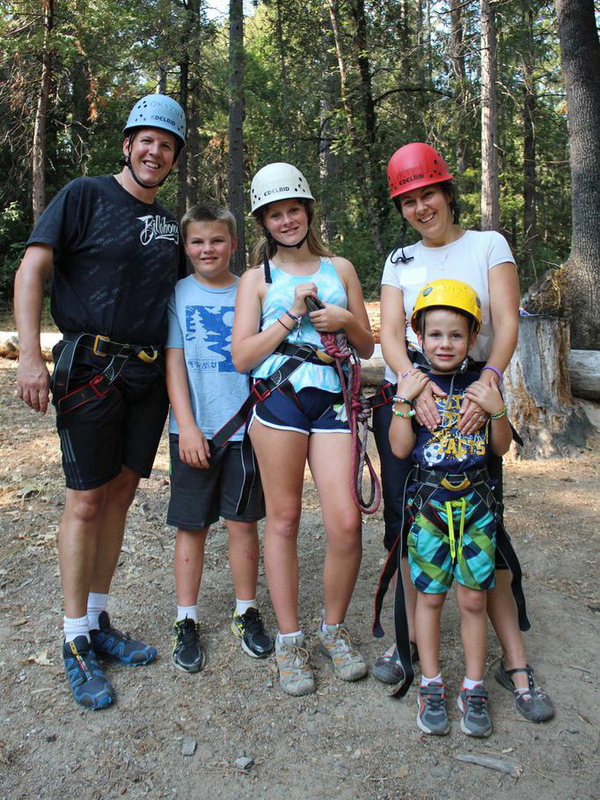 Family camp is held once a year and is open to cancer survivors and their families. I just hope that every kid who has cancer would be able to have a camp like this because it will change their life for the better. Camp Little Red Door is a weeklong camp held in June each year for Indiana children ages 8 to 18 who are in active cancer treatment or remission. 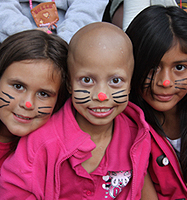 It is a chance for children with cancer to have the same camp experience as any other child and to interact with other children facing similar experiences. Camp activities include swimming, canoeing, archery, horseback riding, zip lining, nature education, rock climbing, arts and crafts, campfires, and more! Spring and Fall Family Camps! Held over a weekend at Bradford Woods, Family Camp is an opportunity for the entire family to experience camp. 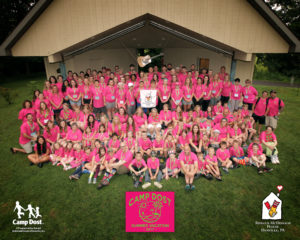 Occurring once in the spring and once in the fall, Family Camp Little Red Door is offered to any family in Indiana with a child in or beyond treatment for cancer. Parents and all siblings are welcome to come spend time in the woods swimming, hiking, fishing, and cooking out among other families who understand the journey. Camp Hope-Heartland is a non-profit whose goal is to improve the health of children and adolescents with cancer between the ages of 5 and 17 years.. Camp Hope takes place each June at Camp Aldrich near Claflin, Kansas. Camp Hope is open to children and teens We also offer a day-camp starting at age 4 for youth who are too young or simply unable to attend the full week of camp. Camp Hope is FREE for all attendees! We also provide free bus transportation for campers from Kansas City, Topeka and Wichita. Unique in its ability to assist campers’ needs through a fully functional, on-site medical team, Camp Hope campers are able to enjoy traditional summer camp activities including, but not limited to, swimming, bowling, golf, fishing, hiking, archery, arts and crafts, and more. It is a time for them to be around peers who have, or have had, similar life-altering illnesses. 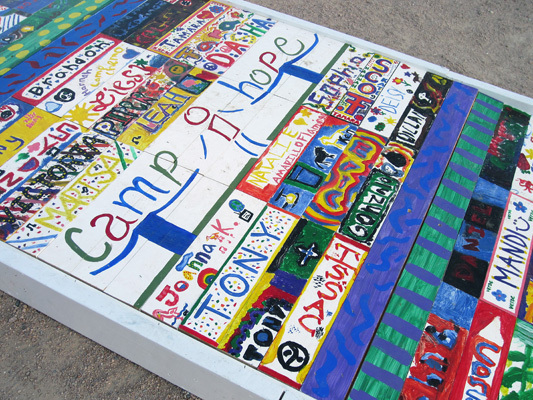 Camp Hope allows the children to see they are not alone in their struggle. A year-round camp for children who have chronic or life-threatening illnesses. We offer experiences that are memorable, exciting, fun, build self-esteem, are physically safe and medially sound. Family retreats serve children 3-17 and summer camps serve children 7-15. Free. 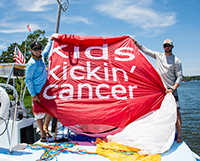 Kids Cancer Alliance offers a variety of camp and recreational activities year-around for children with cancer and their families. We are dedicated to providing once-in-a-lifetime experiences where children can grow, learn, build friendships, and most importantly….have FUN just being kids! We offer a weeklong summer camp for children aged 6-18, a one-day day camp for children 4-6, a Sibling Camp, a family retreat weekend and events for entire families of children with cancer. Our week-long camp lets kids build friendships and focus on the important things in life – arts and crafts, swimming, hiking and s ‘mores. Nurses, trained volunteers, and a staff doctor are on hand to ensure every camper’s safety. A day camp option allows younger kids to be part of the fun as well. Indian Summer Sibling Camp Brothers and sister of kids with cancer get the chance to meet peers in a similar situation while enjoying some special fun and receiving attention that is all their own. Our weekend retreat gives the whole family a chance to relax and return home refreshed. 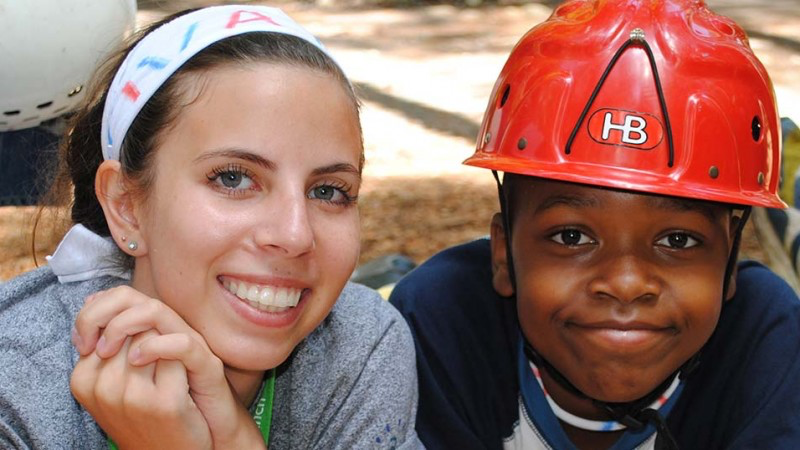 The mission of Camp Challenge is to enrich the lives of hematology/oncology patients including, but not limited to, cancer and sickle cell disorders, their siblings and survivors by creating a week-long camping experience at no cost. Our purpose is to provide a recreational environment that is memorable, fun, empowering, safe and medically sound to help them cope with the challenges of childhood diseases and prepare them for life after illness. 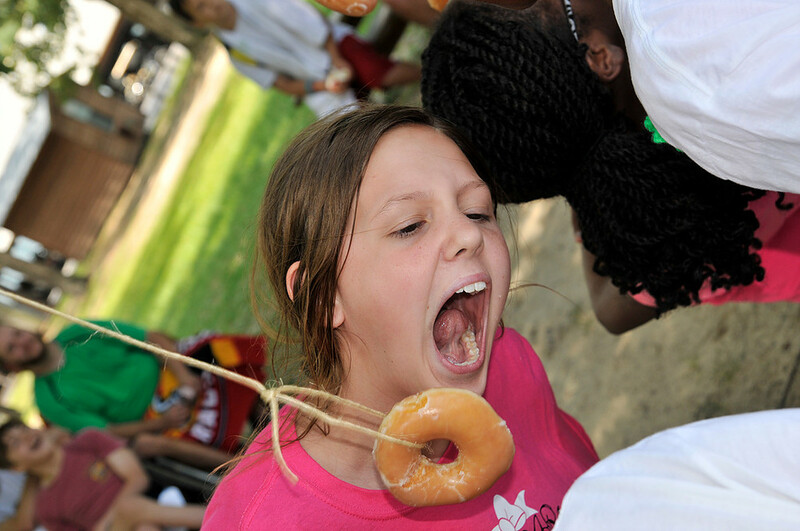 Camp Challenge is a week-long, sleep-away camp in Leesville. Camp accommodates all of our campers’ needs, including a full medical staff. We inspire hope in families affected by childhood illness through our unique, supportive program at our beautiful campus on Sebago Lake. Camp Sunshine’s mission is to provide respite and support to each family member – children, siblings, and parents. Since its inception, Camp Sunshine has offered comfort, hope, and support to over 50,000 individuals from all 50 states and 27 countries. The Camp Sunshine Program is free. All families are sponsored by generous individuals, civic groups, corporations, and foundations. At Johns Hopkins, we believe kids should be kids — especially kids with cancer. Camp Sunrise helps to make that a reality. Since its inception in 1986, Camp Sunrise has combined an exciting camp experience with professional medical support, which creates limitless opportunities for pediatric oncology patients to be normal kids again for a week. Amidst the campfires, crafts, and sports and games, campers are given the chance to establish strong peer relationships with others who have experienced cancer, gain independence from cancer treatment, and enhance self-confidence by trying new activities with camp friends, both new and old. Camp Sunrise is held in early August in Annapolis. The 187-acre campground has hiking trails throughout and boasts of its diverse ecosystems including wetlands, creeks, old growth trees, and forests. At the hub are rustic wood cabins, a health facility, dining hall and full kitchen, fully accessible pool, covered pavilions, basketball court, and large playing fields. Our unique environment allows patients and survivors to lean on each other, to share their thoughts and fears, and to come together with people who simply get it. There is a place where kids with cancer smile and laugh and play, a place where they are not “different” or “sick,” a place where they have the chance to be kids again. It’s called Camp Friendship. 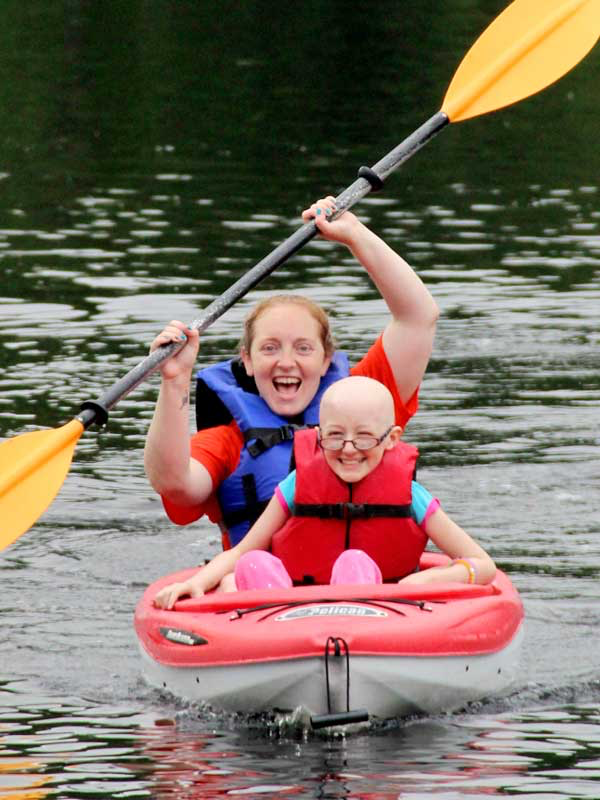 Camp Casco is a home-away-from-home for childhood cancer patients and survivors. It is a place where kids experience the magic of summer camp with the support and guidance of our outstanding caregivers and the constant supervision of our professional medical team. Our camp family consists of kids at different stages of their experience with childhood cancer – varying widely from kids on active treatment to those who have been off-treatment for several years. 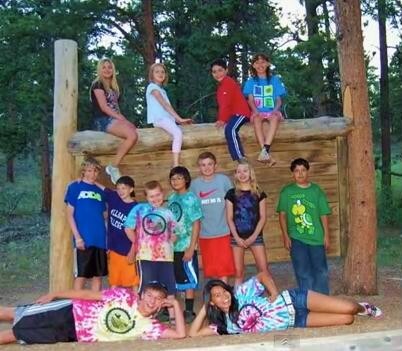 Each summer, we offer one free week of sleep-away summer camp to kids ages 7-17 in Becket. 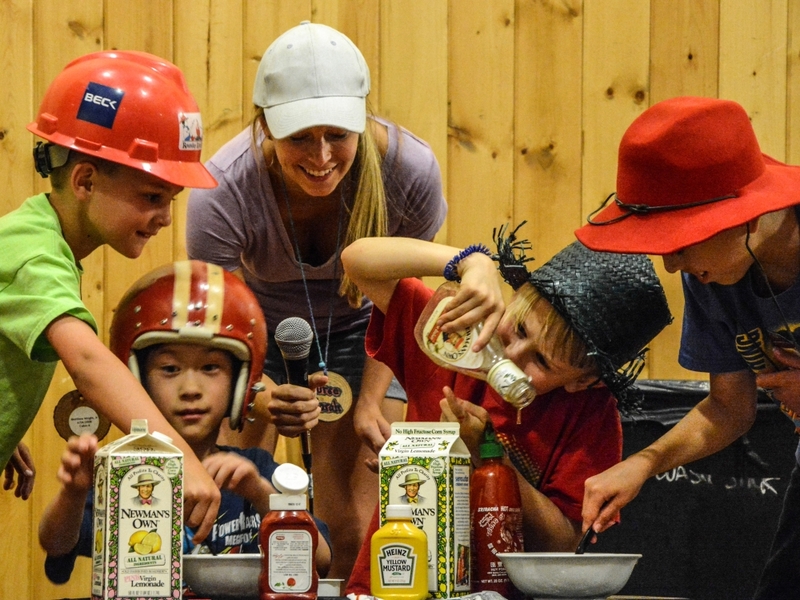 This year, we are excited to add a second week of summer camp … our brand-new Camp Casco Day Camp Experience in partnership with LINX Camps in Wellesley for kids ages 5-10. Every week of summer camp has its own special theme with corresponding theme days. We use our theme to inspire our daily activities, our decorations, and many of our counselors will even dress up to go with each day’s theme! In 2018, our theme was “Lights, Camera, Action!” and we can’t wait to debut our movie-themed weeks this summer. 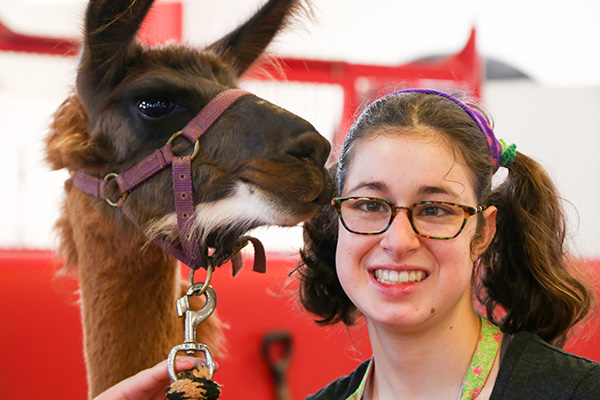 At Camp Casco, we create amazing camp experiences that build lifelong connections and a supportive community for childhood cancer patients, survivors, and their families. We offer free social events throughout the year designed to create and strengthen bonds between childhood cancer patients, survivors, siblings, and parents. 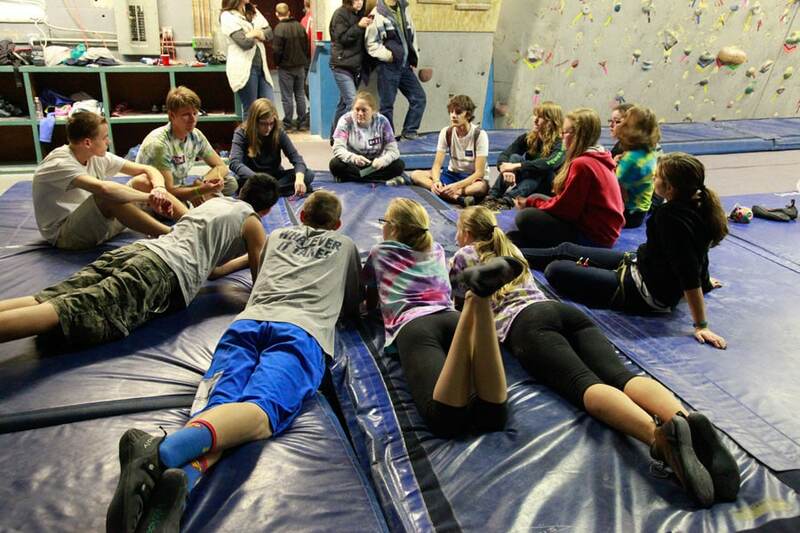 Previous get-togethers have included indoor rock climbing, swimming, cupcake decorating, bowling, and more! These events are a great way to meet others in the community in a low-pressure fun environment. Our programs are annual week-long summer camps in the New England area. 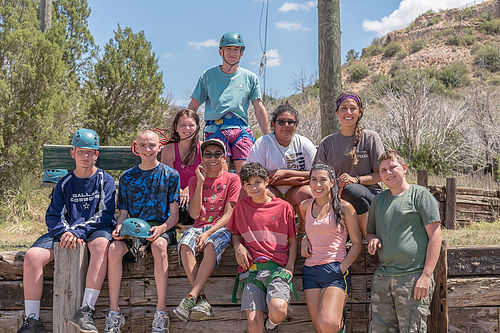 Our programs provide opportunities for campers to experience independence, practice good teamwork, increase self-esteem, and forge lasting friendships, all under the supervision of medical professionals and experienced camp counselors. Camp Casey spreads the healing power of horses one neigh at a time. Camp Casey is a 501(c)(3) non-profit horseback riding organization for children with cancer and rare blood disorders. 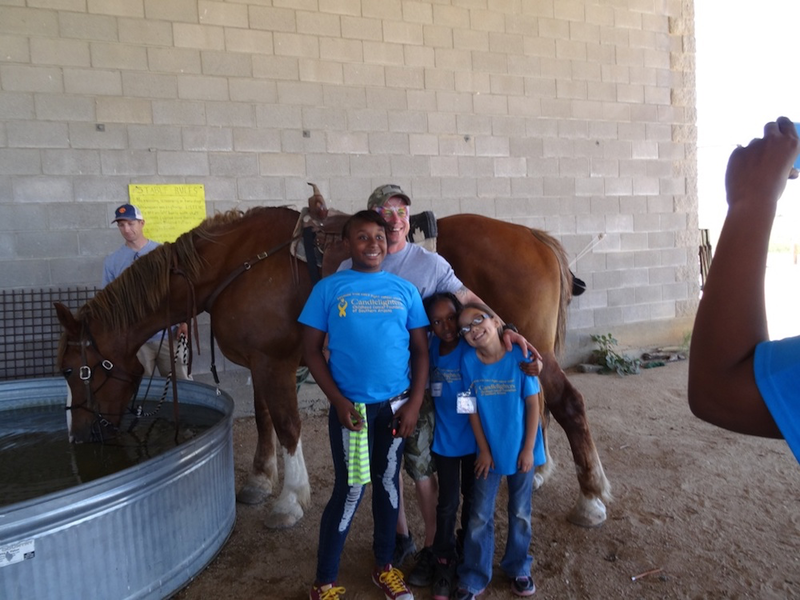 Camp Casey has spread the healing power of horses to Michigan families since 2004. Casey Foote was not very different from other 10-year-old girls. She loved the outdoors, had an active imagination and adored animals. Casey was battling bone and brain cancer and died just after her 12th birthday. Casey would have loved for other children and their families to experience the joy that horses once gave her. We are proud to keep Casey’s legacy alive and enable children like her to apply the strength gained from our program to their fight against cancer. Special Days Camp exists to provide a safe and memorable camping opportunity in a medically-supervised environment for children who have experienced cancer and their siblings, serving the entire family. 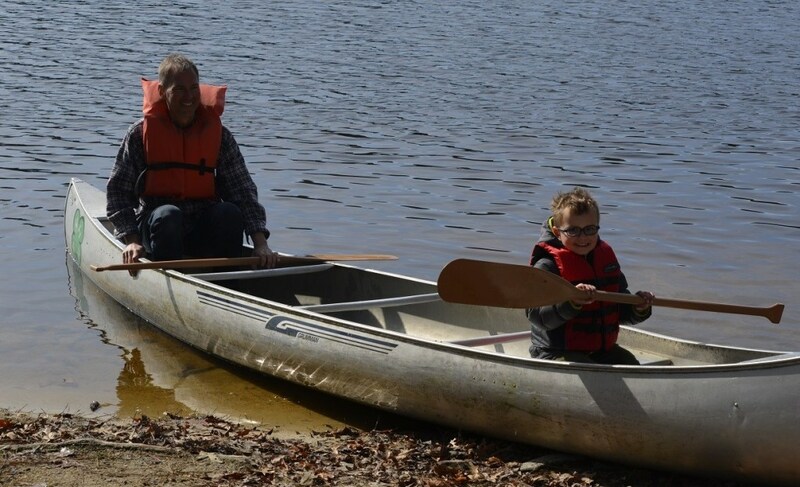 We offer traditional camping activities adapted to meet the special needs of our campers. Special Days Camp – This is the seed that started it all. Special Days Camp was founded to create a fun week-long summer camp experience for children with cancer. Under the watchful eye of skilled doctors, nurses, and a well-trained staff, campers are able to experience everything from swimming and hiking to archery and horseback riding and much more. Our staff is there to help them every step of the way. Because of the magical feel of Special Days, at age 18 many campers return as staff to continue the traditions and serve families in need. If you are looking for a place that has all the support and understanding of home with the staff of a hospital, Special Days Camp is the place to be. Special Days Partners Camp – Here at Special Days we recognize that cancer affects the whole family. Often a sibling can feel left out because of the attention a family must place on the child with cancer. So Partners Camp, a separate week-long program exclusively for the siblings of children with cancer, was born. Siblings can experience all the fun, support, and growth that their brother or sister gets to experience. Friendships that last a lifetime are formed during this camp session as Partners are surrounded by peers who understand. Little Mary’s Hospitality House was established in memory of three-year-old Mary Catherine Fischer who died of a terminal brain tumor in 1982. Remembering the last wonderful vacation they took with Mary and their eight other children, the Fischers decided to find a way to provide a memorable vacation for other families dealing with special needs children. Camp Rising Sun is a camp for children living in Mississippi, Alabama and southwestern Tennessee, ages 6-16, who have been or are currently being treated for cancer. The goal of Camp Rising Sun is to provide these children with a traditional camp experience while recognizing and meeting their health needs. Camp Rising Sun accepts children in all stages of their illness and treatment, provided they have approval from their physician. Campers may attend with a sibling on a space-available basis. Of primary importance is our medical staff who closely monitors the needs of each of our campers. Medical personnel and equipment are on location 24 hours a day. The camp clinic is staffed by doctors and nurses whose responsibilities are to follow medical orders from each camper’s physician to insure that treatments are maintained during their time at camp. The staff is available to administer oral chemotherapy, drug therapy and all other medical treatments. 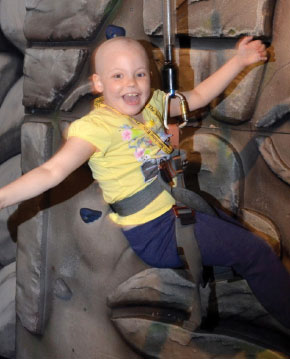 At Camp Mak-A-Dream, cancer isn’t an obstacle — the climbing wall is. 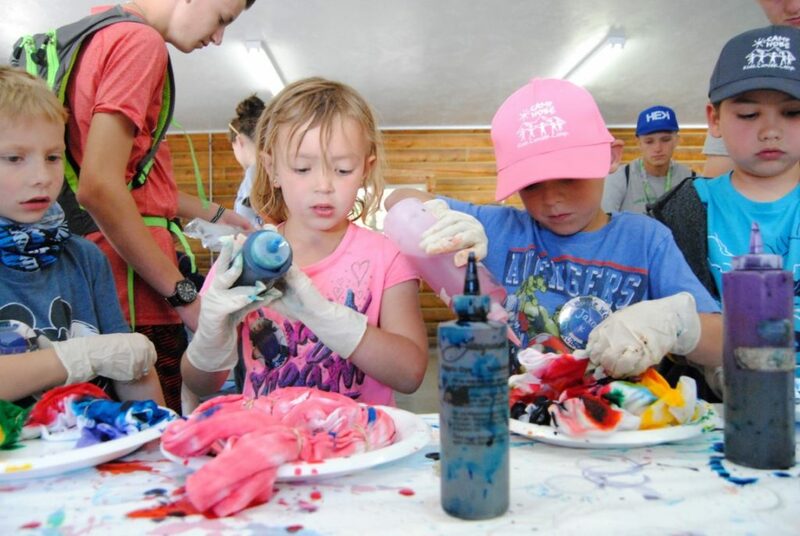 Camp gives children in various stages of cancer therapy a chance to challenge themselves, try a new craft in the art studio, or go horseback riding, perhaps for the first time. Shared experiences around cancer are added to the mix, creating safe places where kids not only get to express their emotions but also learn that others have triumphed in the face of some of the same hardships. 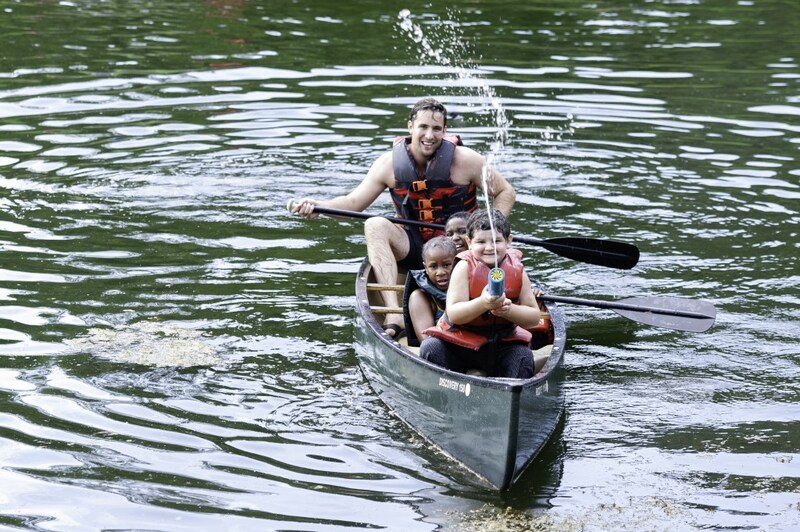 At Camp, our programs help survivors and their families develop lasting relationships and gain resiliency. Here, they discover new resources. They get out into beautiful places and share life-changing experiences. They are empowered to live with and beyond cancer. Camp offers a variety of activities including swimming, ropes course, archery, outdoor games, hiking, fishing, crafts, and group cabin chat plus much, much more. The Montana experience — gem mining like original settlers, hiking as high as possible to catch the best glimpse of that “Big Sky” — is the foundation of our camps and programs. But the energy and connection between the campers themselves are what make each Camp what it is. 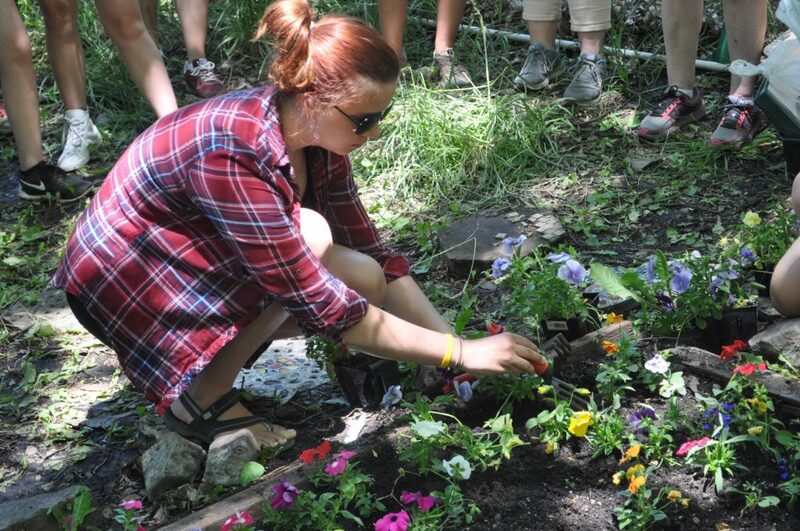 Campers fill our acres with a passion, empathy and openness that allow the weight of their stresses to float away. This group experience is one we value above all else. That’s why Camp Mak-A-Dream is cost-free. In addition to all of our great outdoor recreation, each week we host local presenters who come to share their knowledge and talents with the campers. These activities may include theatre games, yoga, drumming, silk painting and cartooning. For the evenings, we plan special events designed to enhance community and friendship. In the course of a week, campers may enjoy a Hawaiian pool party, Carnival Night, Olympic Games, or a Hollywood-themed dance. Most days we schedule a Cabin Chat as well, which is a special time set aside for campers to talk and share in a safe, supportive environment. During these chats, participants have an opportunity to share their feelings, thoughts and experiences about living with cancer. Beyond on-site activities, we usually spend one day off campus. We may go bowling in Deer Lodge, visit a water park in Missoula, or mine for sapphires in historic Philipsburg. We finish our Kids Camp with a banquet dinner, slide show of photography taken by our staff photographer and by campers themselves, and a talent show where campers are encouraged to showcase their talents in front of a supportive audience. By the second or third day, usually everyone has let loose and, by the talent show, everyone’s growth is clearly evident. Camp programs are organized by age group. We are an all-abilities, cost-free camp. And we are a leader in offering programs specifically for teens and young adults who have experienced brain cancers. Since 1982, Eagle Mount has been transforming the lives of people with disabilities and children with cancer. Eagle Mount opens up a world of adventures – skiing, horseback riding, swimming, camping, rock climbing, kayaking, cycling, fishing, and more – that foster freedom, joy, strength, focus, and confidence. Set under the beauty of Montana’s legendary Big Sky, Eagle Mount focuses on people’s abilities, while gently supporting their disabilities. Our Big Sky Kids program is designed for children and young adults with cancer. They enjoy Montana adventures such as white-water rafting, horseback riding, kayaking, fishing, zip-lining, and touring the wonders of Yellowstone National Park. Each Big Sky Kids camp is medically supervised. Eagle Mount needs to be here. With your support, we will! 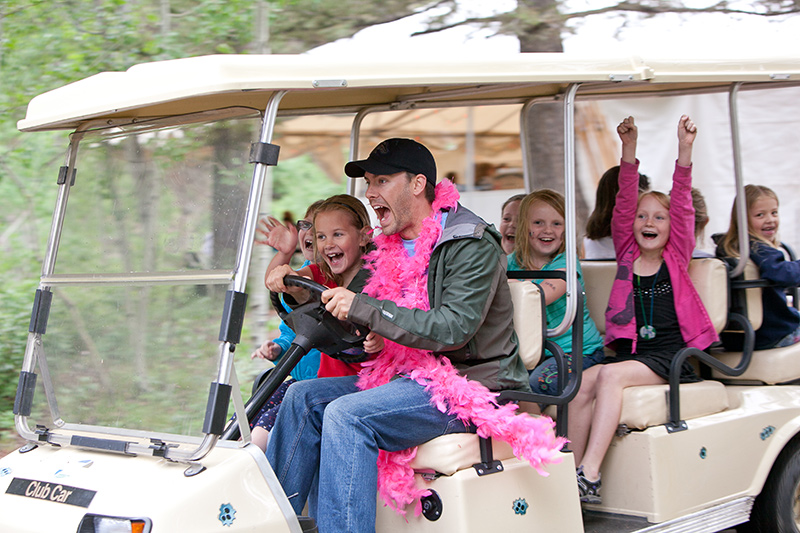 Family Camp activities are intended to provide a place of fun, support, and sense of community for the whole family. Families who have cancer in the family (either the child or parent) and have at least one member under the age of 18 are welcome to attend. For One Another is offered FREE for Montana families affected by a cancer diagnosis. Camp is a gathering of people who celebrate life, cherish family time, discover new strategies and hope, appreciate good company, and need to kick back and relax. FUN includes high adventure family-based activities, arts and crafts, swimming, canoeing and kayaking, daily explorations, quality family time, and campfires. A diversity of professionally- facilitated support workshops are also offered for adults, teens and young kids. 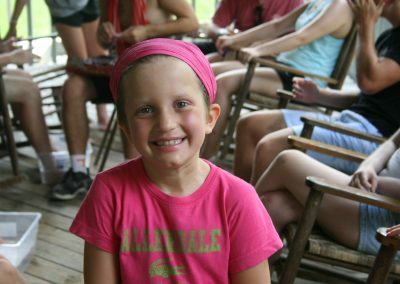 Camp CoHoLo’s mission is to serve children between the ages of 6 and 17 who are impacted by cancer or blood disorders. Campers include children undergoing therapy and those who have completed treatment. Here are some activities that are a tradition at camp: Swimming, Water slides, Crafts, “Warm fuzzies”, Camp songs, Frisbee golf, Nature hikes, Sitting volleyball/4-H Square, Water games, Zip line, High-wire adventure, Trust course, Boat making, Scavenger hunts, Carnival games, A kid-focused dance with DJ music. 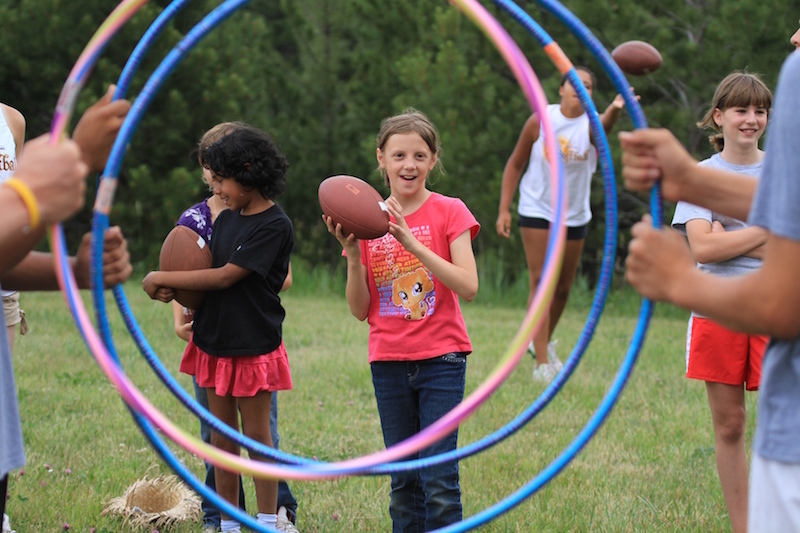 Camp Cartwheel at Torino Ranch provides a relief from the stress of hospitals and the trauma of fighting disease. For patients, it is a time to have fun with their brothers and sisters and remember what it feels like to be a kid again. 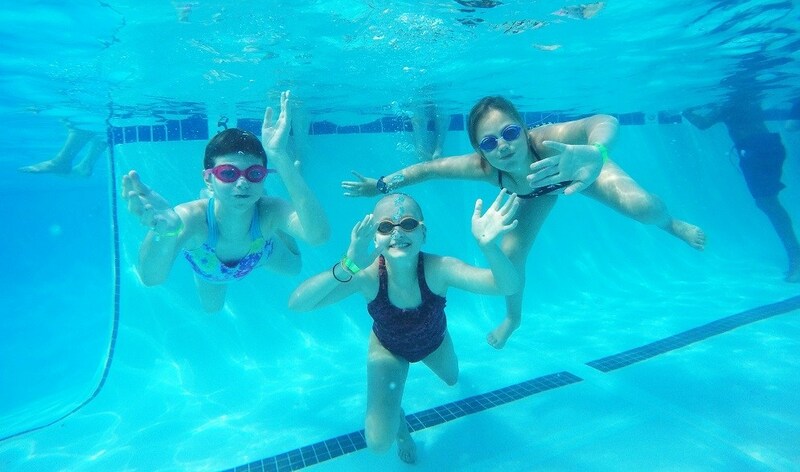 Each summer since 1996, critically ill children and their siblings, ages 5 to 17, look forward to Camp Cartwheel where they enjoy four fun-filled days of swimming, hiking, arts and crafts, canoeing, scuba, outdoor games, rock wall climbing and more! Camp Cartwheel gives campers the opportunity to form positive peer relationships, develop independence and self-esteem, serve as role models for one another, and look to the future with hope and courage. Candlelighters Childhood Cancer Foundation of Nevada and the Nevada Chapter of the National Hemophilia Foundation are happy to be joining once again to host our annual summer camp, Camp Independent Firefly, and are extremely excited to offer this opportunity to your family. Camp Independent Firefly is a 5-day 4-night medically-supervised camp for diagnosed children and their siblings. Activities include favorites such as horseback riding, swimming, arts and crafts, and the rock wall, along with some brand new events. We also offer a Leader in Training (LIT) Program for our eligible youth ages 17-19. This program prepares them to be our counselors and leaders of the future. Camp Independent Firefly is a fully supervised by a medical team to provide medical supervision, care, and intervention, if needed. 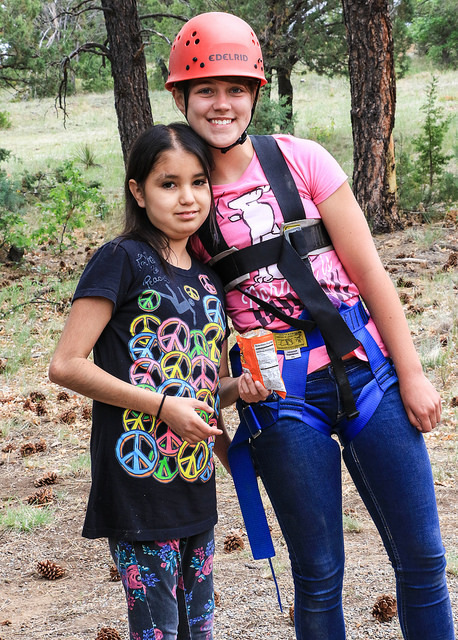 Camp also offers a unique opportunity to children affected by bleeding disorders the chance to learn skills, such as self-infusion, necessary to function independently while managing their disorder. And all children, regardless of diagnosis, will find out more about both bleeding disorders and cancer to gain a better understanding of what their new friends may be going through. Children eligible to attend are children with inherited bleeding disorders, carriers of hemophilia and those diagnosed with cancer. Siblings are also invited to attend camp. Children must be 7-17 years of age and be residents of Nevada. Camp is offered free of charge to all who qualify. On Belay programs consist of children who have lost someone, have someone in active treatment, and who have someone in remission. 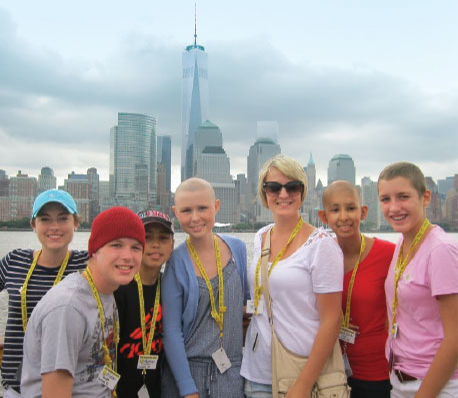 On Belay builds community among kids aged 8 – 18 who love someone who has cancer. We offer day-long adventure programs that help kids connect to each other and to their own inner resilience. Get a day full of happy, doing things you have never done, in places you have never been, with new friends you will never forget. The mission of Happiness Is Camping is to provide children with cancer and their siblings a traditional residential camp experience together with sophisticated medical care for campers both on and off treatment. These special children come to this unique camp where they can put aside their illness and do what kids like to do… have fun! The camp was founded in 1982 by a group of concerned individuals who recognized a need for a very special type of camp for children with cancer and blood diseases. Located in beautiful Hardwick, the camp sits on 150 pristine acres of woodland, fields, streams, and ponds. The camp is free to campers ages 6-17 and their siblings. Camp No Worries campers are all children dealing with a diagnosis of cancer in some way. They are patients, survivors, siblings or bereaved siblings ranging in ages from 6 -16. Camp No Worries strongly believes there is a therapeutic component of including brothers and sisters in the camping experience. Therefore, we do not limit the number of siblings that attend, as long as they meet the minimal requirements. Camp No Worries is a summer camp created solely to give children with cancer and their siblings an opportunity to relax, enjoy themselves and forget about their worries for one week every summer. It is a place that allows children facing a diagnosis of cancer to just be kids. It is a place of happiness, friendship and new adventures. It is a place of camaraderie and acceptance where everyone knows first-hand what it is like to live with cancer. And, it is a true summer camp experience in every sense of the word. Camp Dream Street is a special, week-long day camp experience serving the social needs of children with cancer and blood disorders. Siblings are also invited to participate in the wide variety of social and recreational activities provided at the camp, including arts and crafts, sports, dance, music, nature, baking, martial arts, swimming and special daily activities, all held in age-appropriate groupings. Starting in the summer of 1990 with 20 campers, Camp Dream Street has grown to serving over 165 campers each summer, ages 4 to 13. The primary goal is to provide a carefree week of camping fun. The only requirement for the children who attend is to have fun! There is NO CHARGE for any camper. Camp Dream Street is located at the Kaplen JCC on the Palisades in Tenafly. This beautiful recreational facility is situated on 29 wooded acres and includes day camp shelters, ball fields, outdoor pools, bath houses, indoor gym facilities, kitchen, first aid center and a camp building. 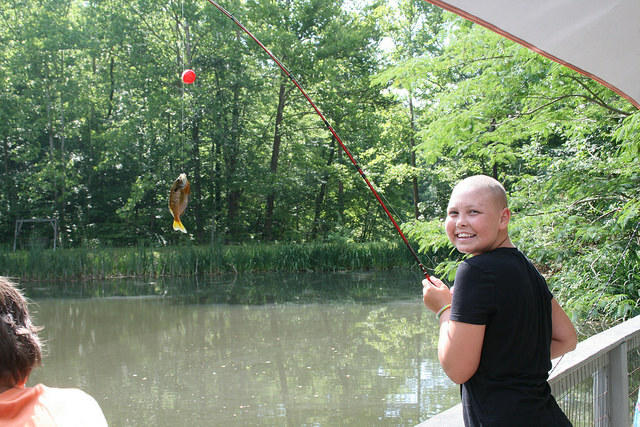 Camp Dream Street is available to oncology patients and their siblings who are on active therapy or those who have completed chemotherapy treatment. All children and their siblings with chronic hematological diseases, such as sickle cell anemia or hemophilia, are eligible to attend. 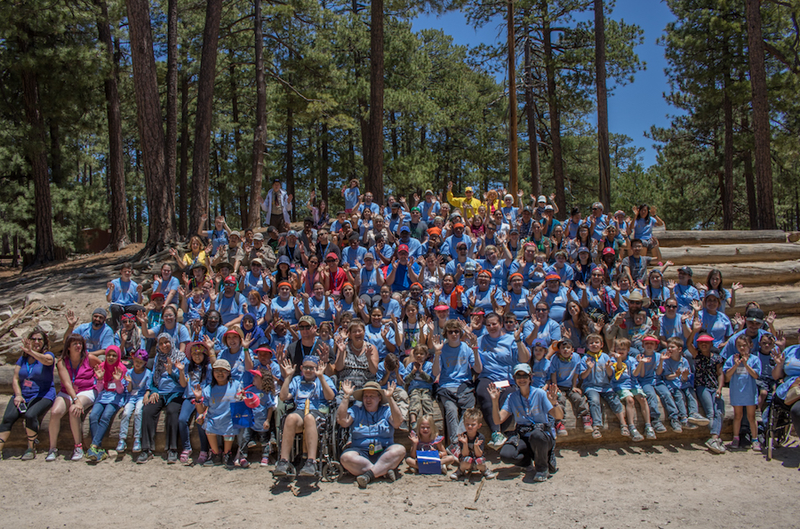 Camp Enchantment is celebrating over 30 years in New Mexico! Camp Enchantment New Mexico provides childhood cancer support programs, thus providing a cherished opportunity for pediatric cancer patients, survivors and siblings the opportunity to renew their spirits, catch up with old friends and make new friends in a safe, supportive environment, surrounded by other children and teens who understand and identify with their situation. Camp Enchantment is a camp for children from New Mexico with cancer, ages 7-17 years. 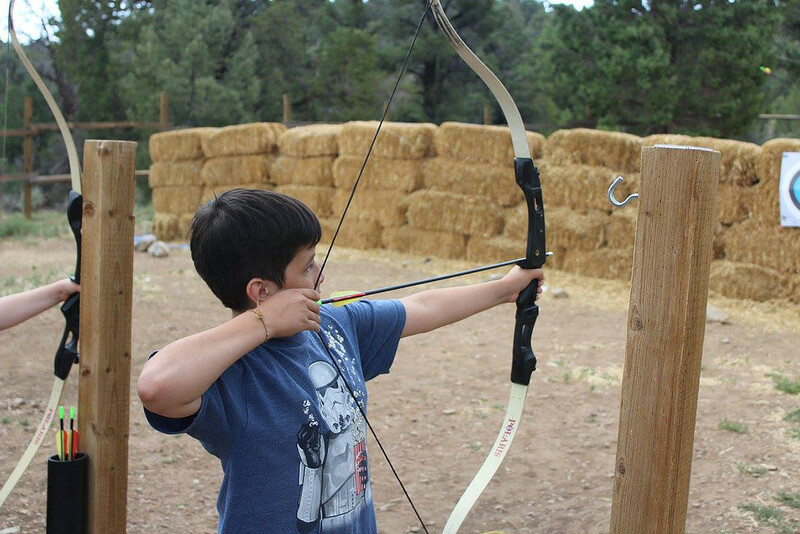 Approximately 70-80 children on treatment for cancer or a history of cancer will descend upon Manzano Mountain Retreat for Camp Enchantment. 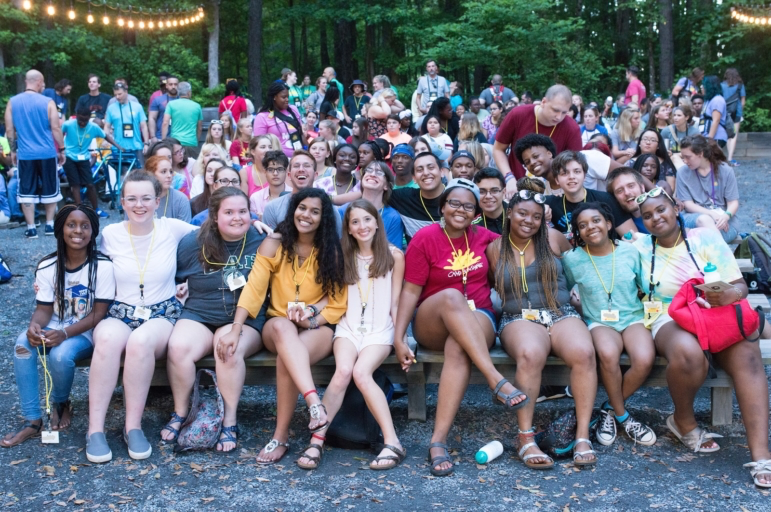 There are also eight counselors-in-training (CITs) and another fifty-two volunteer staff including doctors, former camp attendees, counselors, artists, and many more activity coordinators. Medical staff is on-site at camp 24 hours a day. 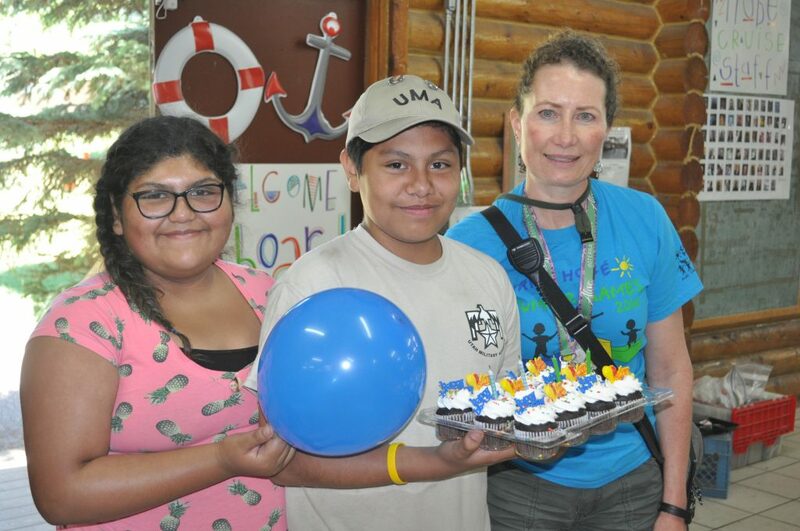 Our volunteer staff includes several pediatric cancer survivors and siblings who attended camp. The camp experience is invaluable for the children themselves and their families. Every summer, Camp Simcha offers 200 children with cancer and blood disorders two weeks of fun and friendship that gives them the courage to continue to fight pediatric illness. The camp’s medical and administrative staffs are experts in caring for children with serious or debilitating chronic disorders. As a result, we can welcome children dependent on wheelchairs or walkers, respirators, gastric tubes and other medical equipment. The camp is fully kosher and special diets and feeding routines are accommodated. Camp Simcha is located on a beautiful, 125-acre campus in scenic Catskill Mountains in bucolic Glen Spey. It is sponsored by Chai Lifeline, the international children’s health support network that provides emotional and social support for seriously ill children and their families. Camp Simcha offers two two-week sessions for children with cancer. Our goal is to give children an exciting and enjoyable camp experience that will enhance resiliency and help them through the inevitable rough patches of fighting illness. The medical staff is comprised of pediatric oncologists from Memorial Sloan Kettering Cancer Center. The camp infirmary can accommodate children on treatment. Each child has his/her counselor so that schedules can be tailored to a child’s interest and energy level. The activities mirror those at camps for healthy children, with modifications when necessary. Camp Simcha pays for transportation from a child’s home city. Camp Adventure is a free one-week sleep away camp for children coping with cancer. Every year we have a theme with over-the-top events, like fireworks shows, concerts, and carnivals. It is completely run by volunteers, including our medical team. Our dedicated team of healthcare professionals have allowed even children who are critically ill to experience camp. Camp Adventure is for children ages 6 – 18. Young people 17 – 18 can take part in our Leadership in Training and Counselor in Training programs that operate year-round. Camp Good Days provides residential camping programs at our beautiful Recreational Facility, located on the shores of Keuka Lake in Branchport, as well as year-round recreational and support activities in the Rochester, Buffalo, Ithaca and Syracuse areas for children with cancer and the entire family. At Camp Good Days, participants have the opportunity to regain some of what cancer has taken away from them. While a vast majority of our children reside in NY, Camp Good Days has no geographical boundaries and accepts children from all 50 states and all over the world. No child with cancer is ever turned away from Camp Good Days. Camp Good Days provides services for children with cancer, children who have a parent or sibling with cancer and children who have lost a parent or sibling to cancer. We also offer programs for women and men who have or have had cancer. 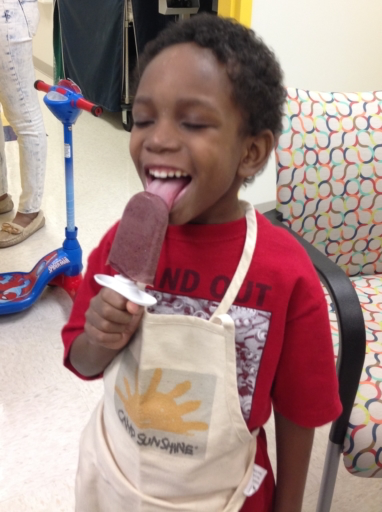 In addition, Camp Good Days provides programs for children touched by sickle cell anemia. All of the programs and services are offered free of charge for the participants. Camp Good Days is a celebration of life, with those who appreciate it the most … a place where courage knows no boundaries. 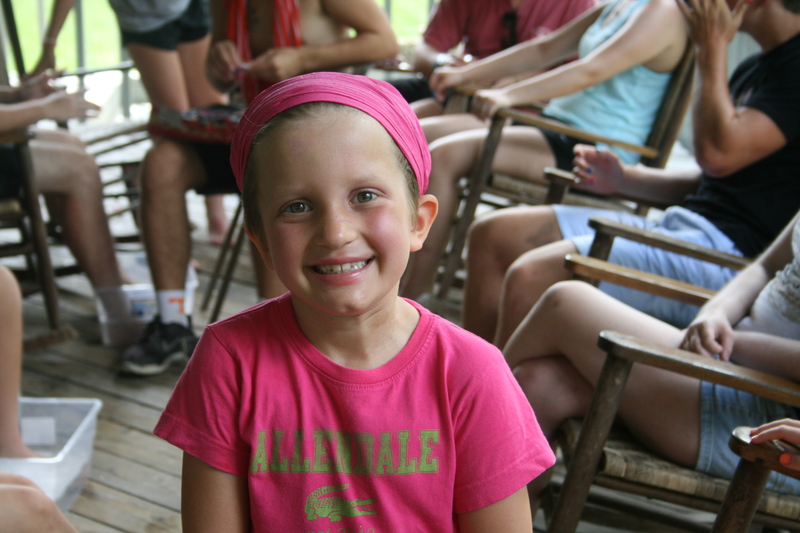 Camp Open Arms is designed specifically for children living with cancer themselves or in the immediate family. It is a two-week day camp focused on FUN! An average day at camp could consist of anything from swimming, arts and crafts, gymnastics, roller-skating or a trip to Seabreeze. If your child is ages 3 to 14 years old, contact us to learn more about being involved in the camp! Unfortunately, cancer can affect anyone at any age. 13,000 children are diagnosed with cancer annually. At Gilda’s Club, we offer our younger members, whether they or a family member has been diagnosed, the opportunity for support. Providing memorable summers since 2006 for children ages 3 1/2–16, Sunrise Day Camps bring the simple pleasures of childhood back to children struggling with cancer, changing months of loneliness and isolation into summers filled with sunshine, laughter and happiness. And because Sunrise is a day camp, it does all this while allowing the children to continue their medical treatment and enjoy the comfort and safety of their own homes at night. Sunrise Association Day Camps are affiliated with 30 renowned hospitals and medical centers. Sunrise Sundays and Fun-days offer children exciting activities and events when school is not in session. Sunrise on Wheels is a one-of-a-kind program that provides hours of Sunrise-fun to children undergoing treatment in pediatric oncology units of participating hospitals. The Double H Ranch is one of 14 member camps of SeriousFun Children’s Network. Founded by Paul Newman, SeriousFun Children’s Network is a growing global community of independently managed and financed camps and programs creating opportunities for children with serious illnesses and their families to reach beyond illness and discover joy, confidence and a new world of possibilities, always free of charge. The Double H Ranch, co-founded by Charles R. Wood and Paul Newman, provides specialized programs and year-round support for children and their families dealing with life-threatening illnesses. Our purpose is to enrich their lives and provide camp experiences that are memorable, exciting, fun, empowering, physically safe and medically sound. 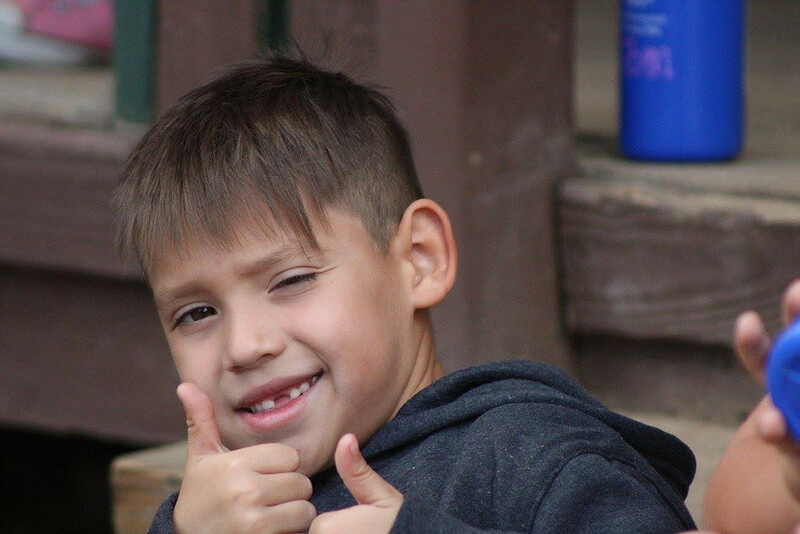 Double H Ranch is currently providing specialized programs and medical services for over 2,100 children and family members through our year-round programs. All programs are FREE of charge and capture the magic of the Adirondacks. From June until the end of August, the Double H Ranch offers children, age 6-16 during regular session and ages 17-21 during the alumni session, dealing with critical or life-threatening illnesses the chance to experience the magic of the Adirondacks. During each of the 8 Summer Residential Camp sessions, the Double H Ranch comes alive with the sounds of laughter and the joys of childhood. 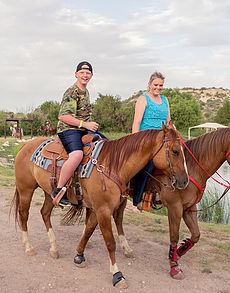 The Double H Ranch provides camp experiences that are medically sound, memorable, exciting, fun and empowering. 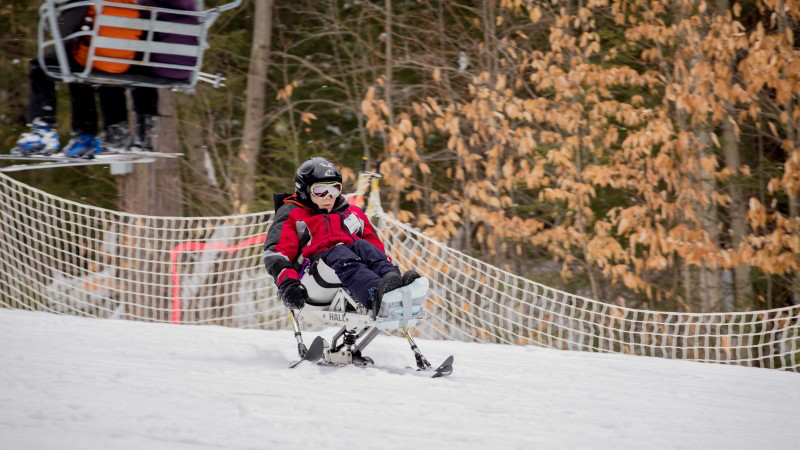 The Double H Ranch Adaptive Winter Sports Program, established in 1998, offers children ages 6-16 dealing with chronic and life-threatening illnesses the opportunity to participate in various winter sports in the beautiful Adirondack Mountains FREE of charge with necessary equipment provided. 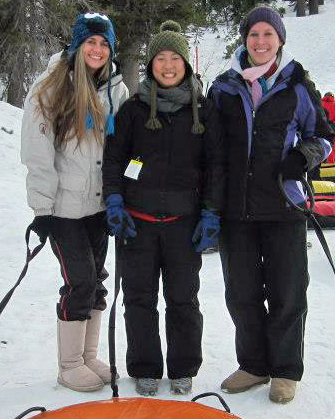 Activities include Alpine skiing and snowboarding instruction, as well as snowshoeing lessons. This unique program is coordinated by Double H staff, and the magic that takes place on the slopes is made possible through the efforts of our volunteer instructors and National Ski Patrol who provide 1:1 support. Camp On-The-Go is Double H Ranch’s Hospital Outreach Program. The goal is to improve the quality of life for children and families in the hospital or medical-based setting by bringing the magic of camp to them! Regular visits are scheduled that will transport a child to a true camp experience in a playroom, at their bedside or at medical community events. The program offers a time of laughter, creativity, hope, friendship, and encouragement to children whose lives are disrupted and fractured by illness. This is the story of the time I had the best summer ever. Double H is the top best camp I have ever been to. When we showed up at Double H, I felt welcomed. and they gave us hugs. and I really love that about this camp. cause without her I don’t know where I would be. Our week-long summer camp provides a normal camp experience for children with cancer and their siblings from ages 6-16. Our campers will get to participate in camp activities like tubing, arts and crafts, swimming, a talent show, a dance, and so much more! 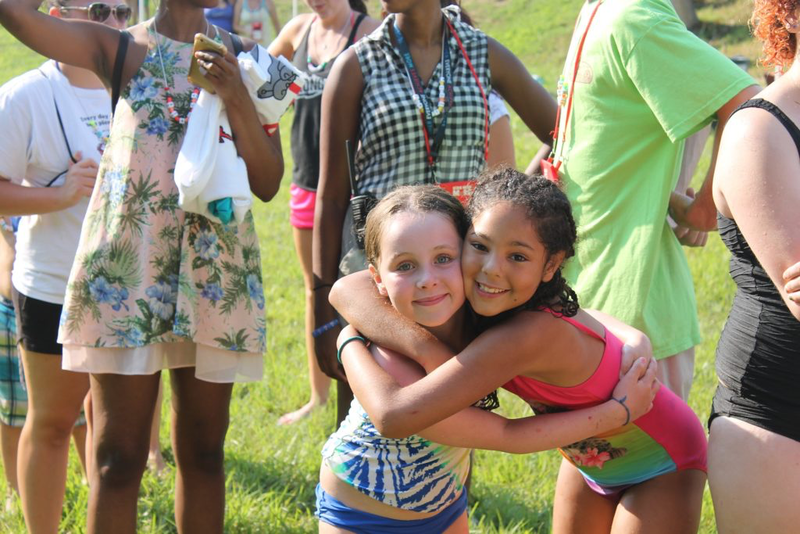 But most importantly, campers will have the chance to meet new friends and connect with others who are undergoing the same things that they are going through, while having a great time away from home for a week! Staffed 24/7 by medical professionals, this week of summer camp allows our campers the chance to get away from the realities of living with cancer – while still being under medical supervision at all times. All activities, including summer camp, are free of charge to all families. 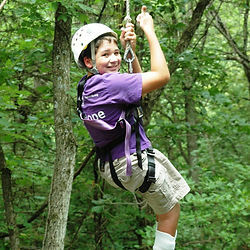 Victory Junction Gang is one of 14 member camps of SeriousFun Children’s Network. Founded by Paul Newman. SeriousFun Children’s Network is a growing global community of independently managed and financed camps and programs creating opportunities for children with serious illnesses and their families to reach beyond illness and discover joy, confidence and a new world of possibilities, always free of charge. Free from the confines of disease, illness or disability, children discover that they can just be kids! How does this happen? 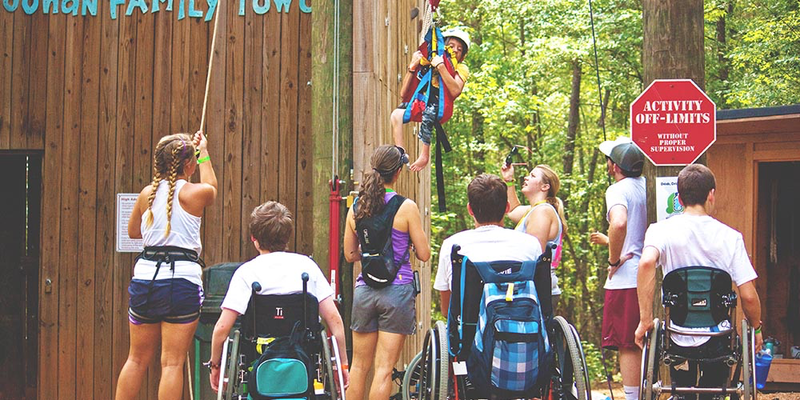 Victory Junction is a medically safe, yet exhilarating camp, that challenges children who have a serious medical condition to try things they never imagined possible. As they conquer activities like zip-lining and archery or experience bowling, fishing or swimming, children build confidence that will shape how they view the rest of their lives. The magic happens on our lush 84 acres in the rolling hills of Randleman near Greensboro. Once children pass through our gates, the boundaries and limitations they live with on a daily basis disappear and they simply concentrate on having fun! That’s when they shine! Victory Junction enriches the lives of children with serious illnesses by providing life-changing camping experiences that are exciting, fun and empowering, at no cost to children or their families. 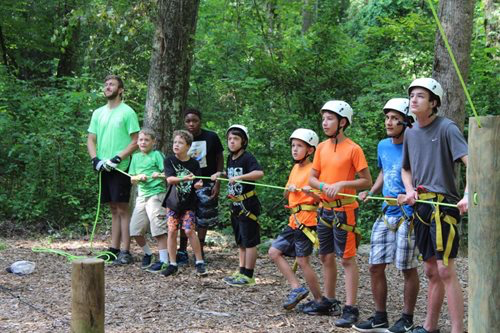 Kids enjoy their time at Victory Junction, but the benefits of camp extend far beyond the fun of a summer week or family weekend. Recent studies have shown the benefits of camp have a positive life-changing impact on the children we serve. The Victory Junction experience fosters independence, inspires confidence, and builds self-esteem for the campers who enter our gates. Excitement, fun, and adventure are planned for campers. They have the opportunity to take part in recreational activities such as swimming, canoeing, crafts, games, pottery, candlemaking, drawing, beading, camping and more. A fishing excursion is also planned. Music, skits, parties and the traditional evening campfires add to the fun. Each cabin accommodates campers and at least two adult counselors. Handicap accessible cabins are available. Our programs are uniquely designed to benefit the cancer child, siblings and parents – emotionally, socially and educationally. We provide academic tutoring, family counseling and parent support programs that help the family face some of the challenges and stress they experience when they are in treatment or transitioning back to home or school life. Kids ‘n Kamp is the only local charity who embraces the entire family during, and long after, their cancer journey – offering a care that never quits. and I cannot even begin to think of how to repay you. You guys are a blessing in so many ways! Thank you for loving our families! Flying Horse Farms is one of 14 member camps of SeriousFun Children’s Network. Founded by Paul Newman, SeriousFun Children’s Network is a growing global community of independently managed and financed camps and programs creating opportunities for children with serious illnesses and their families to reach beyond illness and discover joy, confidence and a new world of possibilities, always free of charge. The fun is about to begin. When your children are at camp, all they have to do is be kids. Make new friends. And do what makes them happy. Through the entrance of Flying Horse Farms lies a truly magical world-set apart from illness and life’s stresses. Our 200 wooded acres just outside Mt. Gilead, are home to 22 camp buildings, two lakes, and limitless space for exploration and fun. Flying Horse Farms provides magical, transformative camp experiences for children with serious illnesses and their families – free of charge. Our campers range in age from 8 to 15. Their interests and personalities are as different as the stars in the sky we camp under. But they are all alike in two important ways: they have serious illnesses and courageous spirits. 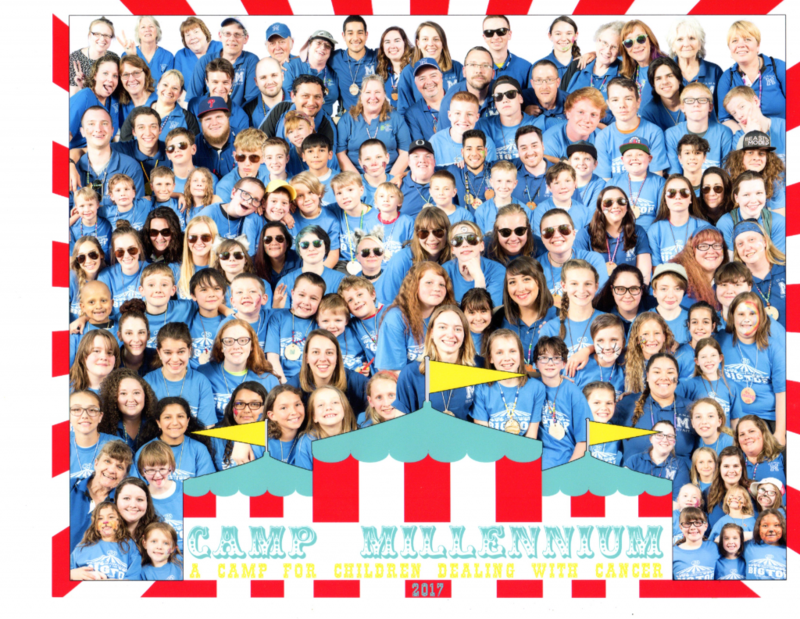 Camp Millennium is a free summer camp for children dealing with a cancer diagnosis. It is a time for them to be themselves and to share in a variety of summer camp activities, such as hiking, fishing, archery, swimming, arts and crafts, horseback riding, and many other surprises. The goal of this week-long adventure is to provide these children with a camping experience that can be extended into their everyday lives. The mission of Camp UKANDU is to bring joy and hope to children living with cancer, their siblings, and their families through “outrageously fun” camp experiences. However, our families recognize their children’s health is reflective of more than their medical condition. Children need to socialize and play and grow. Camp Ukandu offers a place where Pediatric Oncologists and Pediatric Oncology Nurses are on staff 24/7, along with 80 + other volunteers to address the care and well-being of these kids. Many children are, in fact, on treatment while at camp. But no one lets that stop these kids from climbing four stories into the air on a rock wall, hopping on a smelly horse, or cooking s’mores over an open flame. Currently, each year, Camp Ukandu serves roughly 120 children. 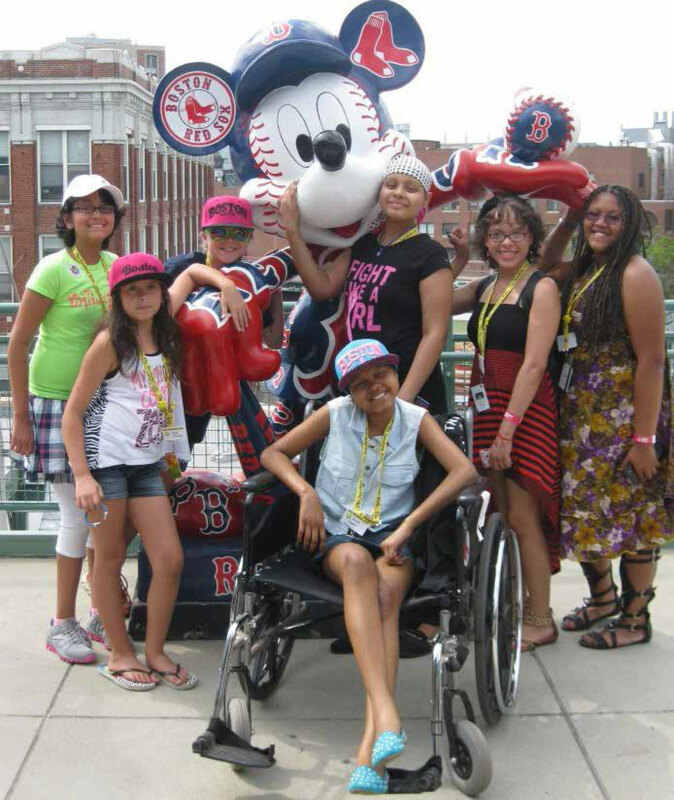 Our campers are patients, and siblings of patients, ages 8 – 18. In these formative years, “normal” childhood development is a challenge. School studies, making friends, trying out for sports teams, joining activity groups and other clubs – these are some of the many ways most children seek to determine where they belong in “normal” society. But if you are a 14 year old bald girl, or when you are an 8 year old boy who can’t throw a baseball, fitting in can be even more challenging. Camp Ukandu provides a setting in which being bald or having missing limbs is completely unremarkable. We offer a community where patients relate to each other’s stories, to their fears and to their pain. Most importantly, this community of children share their hopes and dreams and remind each other that life’s goals and inspiration are still theirs for the taking. Camp Ukandu is a place where special children grow and play, where children laugh and cry. and where children build what are, quite literally, experiences and memories of a lifetime. Camp Ukandu is a place where kids can just be kids! 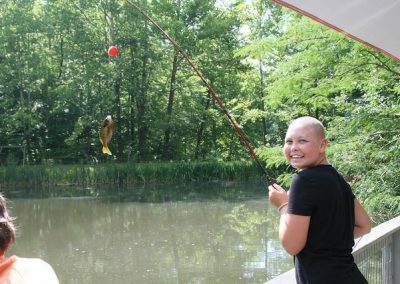 The Mission of Kay’s Kamp is to provide children ages 5 to 17 who are battling cancer and those now in remission the opportunity to participate in a unique camping experience promoting fun and normalcy – Free of Charge! Kay’s Kamp provides a unique and special place for these kids to escape the daily environment of hospitals, medications, pain and the discomfort associated with cancer and its treatments. Kay’s Kamp is a medically supervised overnight camp and is equipped to administer chemotherapy when needed. Our medical team consists of experienced doctors and nurses on-site at all times during the Kamp week. Oncology Pharmacists are present at Kamper check-in to verify all medications with parents/guardians. Kampers are medically supervised throughout the week by a volunteer nurse who travels with each cabin as they attend activities and meals. Camp Can Do is for children ages 8-17 who have been diagnosed with cancer in the last 5 years. We also offer a special session of Camp Can Do for siblings, kids ages 8-17, whose brother or sister has been diagnosed with cancer. The Danville Ronald McDonald House is the proud sponsor of Camp Dost. The program was conceived to give pediatric cancer patients the opportunity to enjoy a summer camp experience without worrying about medical care. Perhaps more important to children, there are no worries about “fitting in.” At Camp Dost, they have more in common with their peers than any place else. The camp experience has always proved to be a rich and rewarding one that leads to fond memories and unexpected life lessons. In the nurturing environment of Camp Dost, campers realize a new-found independence through personal growth. They learn to compromise, appreciate team work and become a self-advocate. Most importantly, they come to understand that they are not alone in their battle with cancer. Camp Dost provides a system of support like no other. It begins with the fact that each patient is permitted to invite one sibling to attend camp, add to that the volunteer counselors, many of whom are former campers themselves, and a medical staff of familiar faces. Either by personal or professional experience, all Camp Dost staff know the road our campers travel in dealing with cancer. Camp Dost offers the excitement of an array of activities: rope climbing, swimming, arts and crafts, music, biking, fishing, etc. What makes it different from most summer camps is a fully staffed facility known as the “Med Shed.” Centrally located on the campgrounds, the Med Shed is staffed by a Pediatric Oncology Physician or Certified Registered Nurse Practitioner and a Certified Pediatric Oncology Nurse. An added resource is the many professionals who serve as volunteer counselors: pediatric physicians, pediatric psychologists, child life specialists, social workers and others. Full Week Campers are 5 to 18 years old who have been diagnosed with cancer. Opening events begin on a Sunday and closing ceremonies are on the following Friday. Twenty four Campers are 4-5 years old who have cancer and have not yet attended one year of school. These young campers have a chance to experience Camp without being away from home for an entire week. Siblings of patient campers can share in the experience of Camp Dost. One sibling per camper may be invited and must register for the same program — full week or 24-hour. Meeting other children in the same family circumstances can be comforting as well as enlightening. Each August, over two hundred campers pack their bags and head to Ronald McDonald Camp. 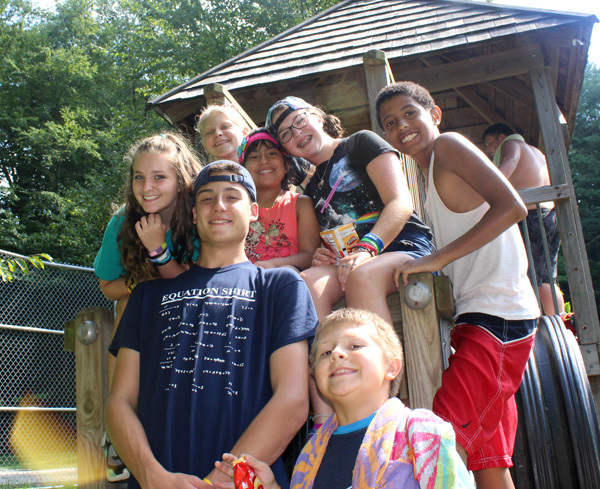 Located in the beautiful Pocono mountains — just three hours outside of Philadelphia — Ronald McDonald Camp looks like a traditional summer camp but, as anyone who has been there knows, it is so much more. RMC is a place where kids with cancer and their siblings can enjoy just being kids. It is a week of fun and friendship and freedom from being different. It is a chance to experience new activities and acquire new skills in a supportive, nurturing environment. It is a time when kids can talk openly about cancer and everybody else understands. Ronald McDonald Camp is for children ages 7 to 17 who are currently undergoing treatment or who have been treated for cancer. Each camper may bring one sibling with them to attend Camp. Senior Camp is specially designed for teens ages 13 to 17 and gives them the opportunity to choose their own activities in a structured environment. Junior Camp provides age-appropriate camp activities filled with fun and challenge for children ages 7 to 12. The mission of Ronald McDonald Camp is to provide a true overnight camp experience for children who have been treated and are being treated for cancer as well as their siblings, ages 7-17. Our camper-centered program is designed to foster independence, friendship, and group belonging among campers who share a common experience with cancer. The ultimate goal is to be a place where kids can enjoy being kids. At Camp Happy Days, kids discover the power within themselves – as they share life-changing experiences with kids just like them who are battling cancer. Kids can be kids again as they have fun and gain confidence. What cancer takes away, Camp Happy Days helps give back. 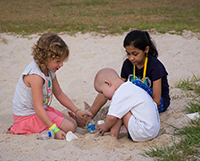 Our most recognized program at the Children’s Center for Cancer and Blood Disorders at Palmetto Health Children’s Hospital is CAMP KEMO, a weeklong summer camp for patients ages 5–18 with cancer and their siblings. 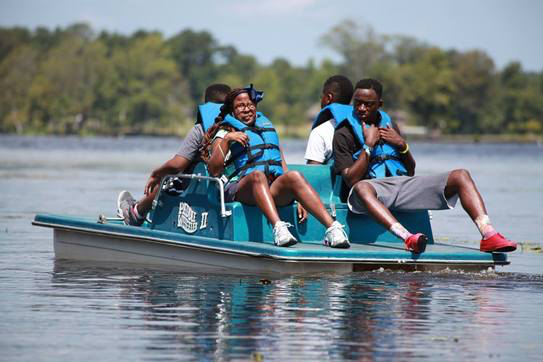 Staffed by our physicians, nurses and volunteers, CAMP KEMO allows campers to swim, boat, hike and simply be children. The fun times at CAMP KEMO lay important groundwork for future treatment as participants learn to trust, respect and relate to one another. CAMP KEMO is completely funded by community donations. CAMP KEMO is a member of COCA-I (Children’s Oncology Camping Association, International), whose mission is to strengthen the international community of camps for children with cancer and their families through networking, advocacy, education and other resources. COCA-I camp members proudly served the needs of over 19,000 campers in 2013. 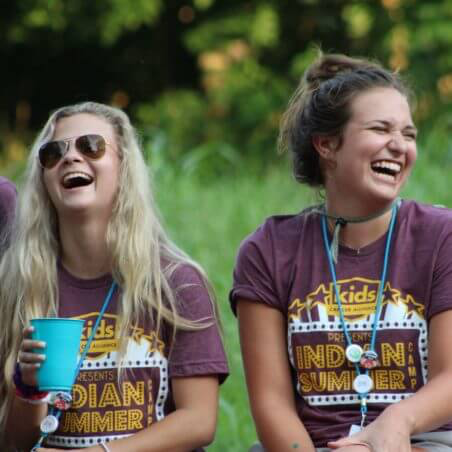 Of the 84 pediatric oncology camp members of COCA-I, the CAMP KEMO Program is one of only 30 that have been awarded the Gold Ribbon Camp designation, an honor bestowed upon camps which demonstrate a high level of commitment to serving children with cancer and their families. “I have so many memories from going to Camp Horizon. but have also made so many friends from being at Camp. I miss camp life so much. There are lots of fun outdoor and indoor activities to do. Among the favorites are swimming in our pool, diving off the diving board, playing around in and on inflatable bounce houses, obstacle courses, and ‘boxing’ cages, and horsing around … on real horses! 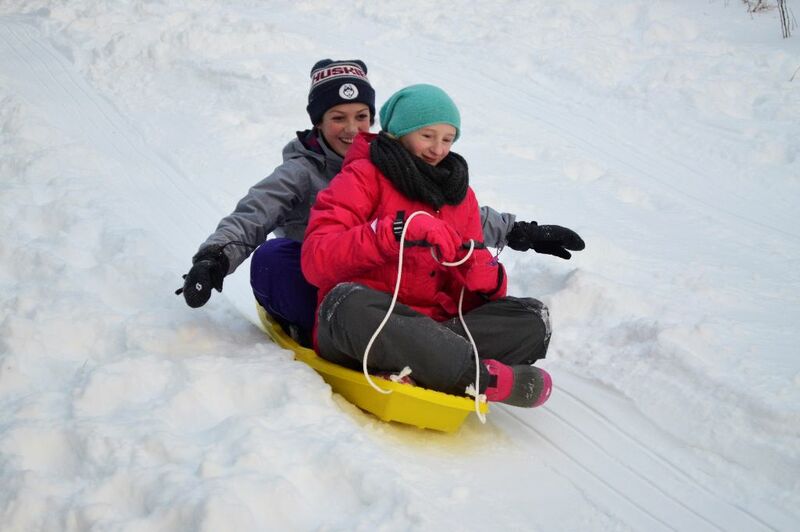 Here at Camp Alphie, our focus is on fun – that is why we have new events every year! 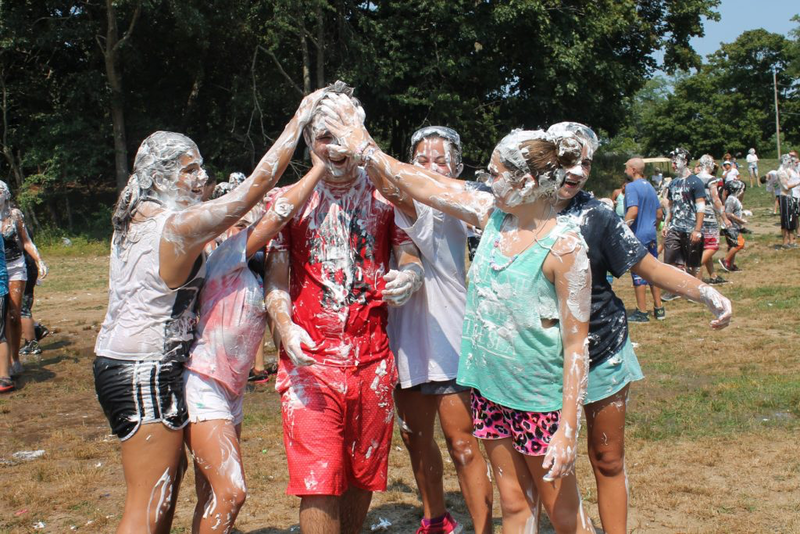 Past events have included shaving cream fights, epic water gun battles, dance parties, and themed events. This year’s theme is Safari, so hop in your Jeep and get ready to experience all the fun the Great Outdoors has to offer! Traditional events, like the birthday party for Alphie and the closing ceremonies where every camper receives an award, will be a part of every annual Camp Alphie for the future. Along with those are new and unique ways to spend the days, like face painting, pottery making, and all manners of arts and crafts, as well as musical performances and cooking s’mores over a campfire! But Camp Alphie isn’t just about the fun – it is about healthy and educational experiences, which is why campers could also get to hike up to a local waterfall, learn karate, or get to participate in science experiments with liquid nitrogen and more. 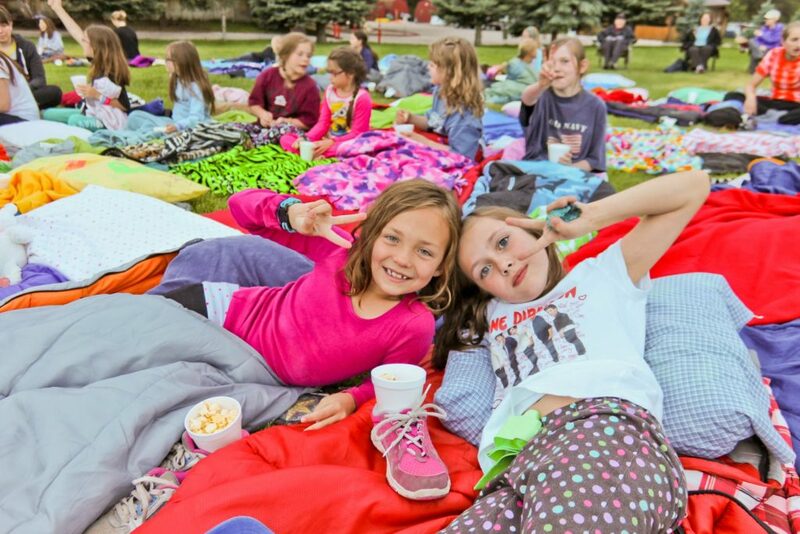 ​Every year, there are surprise activities as well – past surprises have included a visit from the Corvette Club, Jeep Night (four-wheeling rides around the canyon), a Magic Show, and the Camp Alphie Carnival. It is all about providing new and exciting experiences for kids who deserve to make as many wonderful memories as they can in a safe environment. Plenty of relaxing break time as well as nutritious meals are also planned, as your child gets to know the other campers and his or her counselor, making friends that will only add to the joy of camp. So get ready to experience six days of fun, laughter, friendship, and excitement at Camp Alphie! 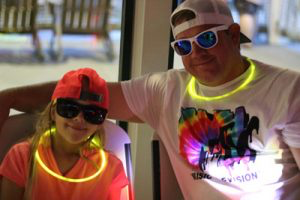 The Rainbow Connection Camp, sponsored by Childhood Cancer Connection, is for children and adolescents (ages 6 to 16) who have been treated for cancer or blood disorders at The University of Texas Medical Branch Children’s Hospital at Galveston, Texas. The camp is also open to the brothers and sisters of these children. The Rainbow Connection Philosophy: Children with cancer or blood disorders are normal children with special medical needs. Since they are normal, they are entitled to enjoy the same experiences as their well peers (i.e. summer camp). Goal of The Rainbow Connection: To provide children with cancer or blood disorders and their brothers and sisters a place to re-discover the self-esteem and confidence that is so often lost during the course of treatment for illness. Camp Location: Burton, Texas. Camp for All is a facility built especially for individuals with special needs. Camp Activities: Fishing, swimming, canoeing, archery, horseback riding, arts and crafts, challenge course, sports, all-camp dance, campfires, music, biking, nature course, nightly activities, awards and many other activities. Candlelighters is dedicated to enriching the lives of children who have cancer by providing hope, support, encouragement, advocacy and education to those children, their families, and the community at large. We are deeply committed to making every effort to provide stability to our families throughout their child’s treatment period, no matter how long that may last, so that no family and no child will fight cancer alone. Candlelighters of West Texas & Southern New Mexico is a 501 (c)(3) non-profit organization that serves families of children with cancer. 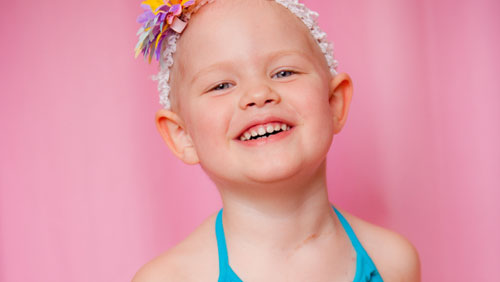 It is the only no-cost provider in the region that supports children with cancer ages 0 to 21. Candlelighters was formed in 1978 by a small group of parents brought together by their shared journey of cancer. Today, we serve approximately 300 children in treatment and provide extended services to over 1,500 registered families in the El Paso area. Our signature program for over 30 years, Camp Periwinkle has earned the reputation of being the “Camp of All Camps!” among campers and counselors. This week-long summer camp is filled with joy for children with cancer and their siblings from Texas Children’s Cancer and Hematology Centers. The goal of Camp Periwinkle is to provide a safe, emotionally healing and fantastic adventure to give every camper the opportunity to grow in independence and self esteem, leaving Camp Periwinkle a stronger survivor. Activities include swimming, horseback riding, archery, arts and crafts, exploring nature, sports, ropes course, biking, wheel chair basketball, fishing, giant swing, dances and much more. Additional special programming includes the opening day carnival, cooking with world class chefs from Houston and Austin area restaurants, Glamour Shots, Spa Day and Olympics Day. Children on therapy can continue treatment at camp. Full medical staff is on duty 24 hours a day. Camp Periwinkle is free for all participants. 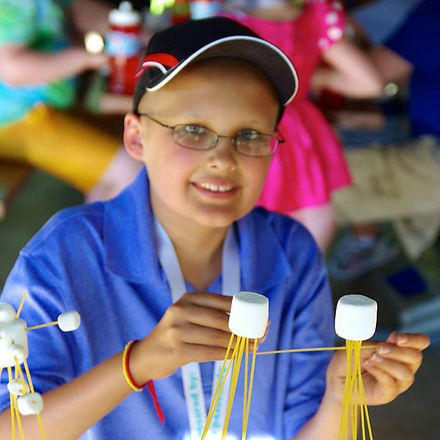 Only oncology patients from the Texas Children’s Cancer and Hematology Centers ages 7-15 can attend camp. Each patient may take one sibling in the same age range. Now in its 21st year, Camp YOLO addresses the unique challenges faced by adolescents living with cancer, renal, cardiac or HIV-related illnesses. While most teens are worrying about acne, getting a ride to the mall or how many text messages they can send, teens with serious illnesses are confronting very real life issues and seemingly unending hospital routines. For two weekends each year, these young people have a chance to rejuvenate with others who understand their struggles, anxieties and fears. Campers learn teamwork and leadership skills and, by the end of a fun packed and emotion filled weekend, they leave knowing they are not alone and they have what it takes to keep fighting their illness and face the challenges that life sends their way. Programming includes activities such as arts and crafts, horseback riding, ropes course, canoeing, fishing, archery, target paintball, swimming, photography, sports, cooking and much more. Some of the night activities campers enjoy at camp include dance party, night zip, campfire and s’mores, night swim, camp wide kick ball game and so much more. Additional special programming may include a wish boat ceremonies, special inspirational speakers, and opportunities to share hopes and fears, successes and challenges. Over 200 teen campers attend Camp YOLO each year. Children currently in therapy can continue treatment at camp. Medical staff are on duty 24 hours a day. In 2006, The Periwinkle Foundation and Texas Children’s Cancer Center identified a need to develop additional programming for families that offers emotional support and networking. Family Camp was designed to meet the needs of the entire family unit as they collectively grapple with the emotional roller coaster of a pediatric cancer diagnosis. Periwinkle held its first Family Camp in February 2009. The camp creates an environment in which participants gain tools to make them stronger survivors and stronger families. It also gives parents and guardians the opportunity to witness and participate with their child or children in activities they may have thought were impossible after a cancer diagnosis. Family Camp programming allows and encourages families to spend healing time together creating treasured family memories and allows them to get to know other families who are experiencing or have experienced similar issues. It helps them find normalcy while coping with the myriad of emotions that accompany a pediatric cancer diagnosis and the ensuing treatment. but at camp no doubt there was that smile that we’ve been missing for so long. Watching my girl have fun with a smile from ear to ear … PRICELESS! I had a bratty attitude with my parents and with my sister who is the patient. Coming to camp, I felt that this time it is not all for my sister. Camp is a special world for children from across the state of Texas between the ages of 7-16. The main purpose of Camp Discovery is to provide these wonderful children a fun and “normal” camp experience, an experience they would not be able to get at a traditional residential camp. However, besides having fun, other things take place like learning new skills, individual growth, and personal development. 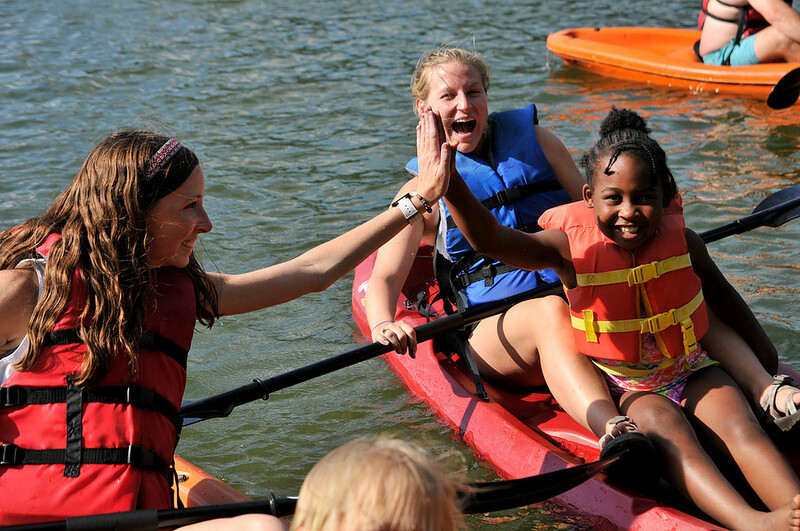 During Camp Discovery, children will experience perhaps the best week of their lives by swimming, fishing, climbing, canoeing, laughing, dancing, singing, horseback riding, and simply being with other people who can relate to their situation. The camp is abundantly staffed with volunteer nurses, nurse practitioners, and physicians. Many of these medical professionals provide treatment to our campers on a regular basis away from camp, and claim that it is refreshing to see them outside the hospital environment. Much more than a fun experience, camp is a very important part of the healing process. Through their adventures, they gain independence and confidence through mastering a skill … whether it is climbing the wall with everyone cheering them on, or being brave enough to “boogie on the dance floor.” Camp is a place to be yourself and feel like a “normal kid again.” A place where lifelong friendships are formed and another forever family is created. The spirit of camp is magical… it rekindles joy and helps to heal the soul! The Sunshine Kids Foundation was founded by Rhoda Tomasco in 1982 while she was serving as a volunteer in the pediatric cancer unit of a hospital in Houston. After seeing the loneliness and depression among children during their extended hospital treatments, Rhoda had a vision to provide these young cancer patients with opportunities to participate in positive group activities which promoted self-esteem, personal accomplishment and just plain old fashioned fun! Today, that vision has been realized many times over, as thousands of children from hospitals across the country have reaped the benefits of The Sunshine Kids Foundation’s many programs and national and regional events. Funded by personal contributions, corporations and foundations, the Sunshine Kids continues, as it has since its inception, to provide all of its activities completely free of charge to the children and their families. The Sunshine Kids Foundation adds quality of life to children with cancer by providing them with exciting, positive group activities, so they may once again do what kids are meant to do … have fun and celebrate life! The activities include Winter Games, Texas Hill Country Adventure, Washington DC Adventure, Summer Broadway Break, Teen Chicago Gateway, Haunted Halloween Getaway, Florida Fun-n-Sun Celebration. Camp Ta-Kum-Ta provides challenging, extraordinary experiences in a safe and loving environment for children who have or have had cancer and their families. Camp exists for Vermont and Northern New York children, (including other out-of-state children who are treated in Vermont) at no cost to their families. Cancer knows no boundaries. For more than three decades, Special Love has helped children with cancer to “just be kids,” through camps, emergency financial assistance, college scholarships – and, most important, a community of support that assures these struggling families they are not alone in their battle. The adventure these special children discover at camp is therapeutic in so many ways. By the end of the week of Camp Fantastic, the once-timid troupe of pediatric cancer patients has built a bond as strong as any these kids will ever experience. It’s a fun-filled week of swimming, canoeing, horseback riding, marshmallow roasting, campfire singing, pillow fighting – everything a child without cancer enjoys at a traditional camp. For a child with cancer, the experience is, well, liberating. Young Adults with Cancer have unique needs that typical young adults don’t normally address. YAC Weekend is the perfect summer getaway for 18 to 25 year-old cancer survivors, providing activities ranging from the adventurous to strictly relaxing. We welcome and encourage “YACers” to attend Special Love’s Fantastic Winter Weekend as well! Camp Agape Northwest provides an all-expense-paid weeklong overnight camp for the whole family of a child with cancer. Camp Agape NW gives children with cancer a chance to feel normal, siblings a chance to feel special, and parents a time to be together. 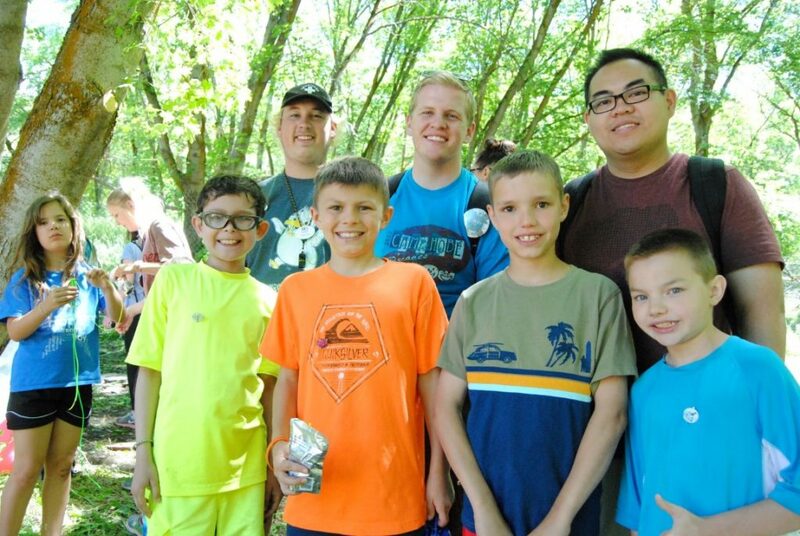 Camp Agape Northwest is provided free of charge for the child with cancer, the parents or legal guardians, and all siblings, through fundraising by the Philoptochos and through generous donations. Campers and siblings range in ages from infancy up to 18 years. Fun activities like arts and crafts, singing, skits, games, fishing and boating and access to a private salt water beach happen throughout the week. One on One, each child is assigned their very own buddy for the week. Camp Sparkle is a free summer day camp offered to children ages 6-12 who have been impacted by cancer. Camp Sparkle is offered in Seattle, Tacoma, Everett and Bellevue. The children that attend camp are impacted by cancer in a variety of ways including having a loved one with cancer, having lost a loved one to cancer, or having cancer themselves. Campers experience a week of local field trips, learning about cancer and making friends with campers and counselors just like them! We are staffed primarily by young adult volunteers, most of whom have their own cancer experience. 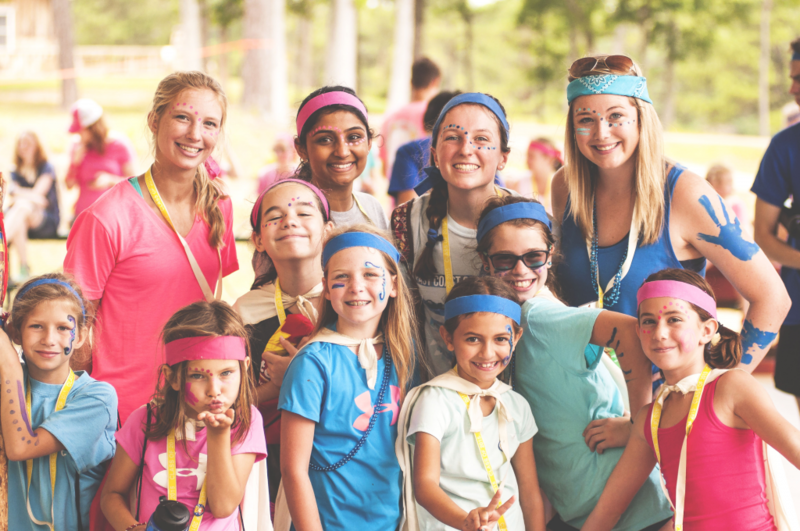 A week at Camp Sparkle is a week filled with laughter, friendship and fun! 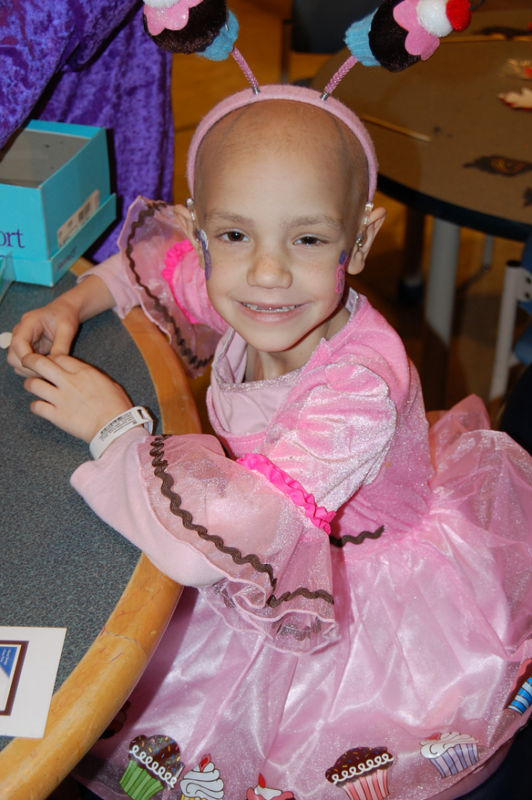 The mission of Camp Sparkle is to ensure that no family has to face cancer alone. We hope to improve the lives of families dealing with cancer. All of the programs offered by Cancer Pathways, including Camp Sparkle, are offered free of charge. Until there is a cure, there is camp. Be silly and joyful, meet people who don’t judge you by your scars, and tell cancer to take a back seat to life! 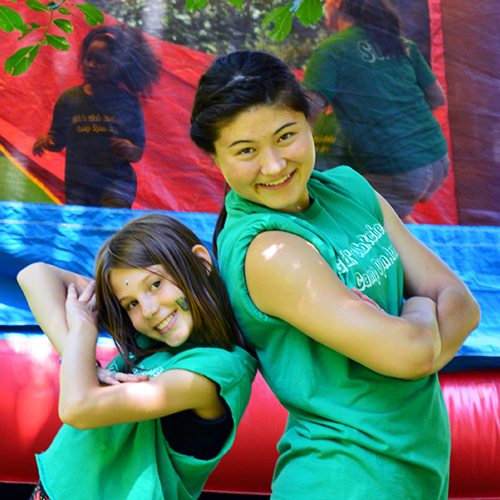 Camp Goodtimes offers campers the opportunity to attend a resident camp that is specifically designed to provide opportunities for personal growth, connection among children impacted by cancer, and a whole lot of camp-tastic fun — all in a medically supervised environment. And while campers are enrolled, parents get a chance to just breathe. 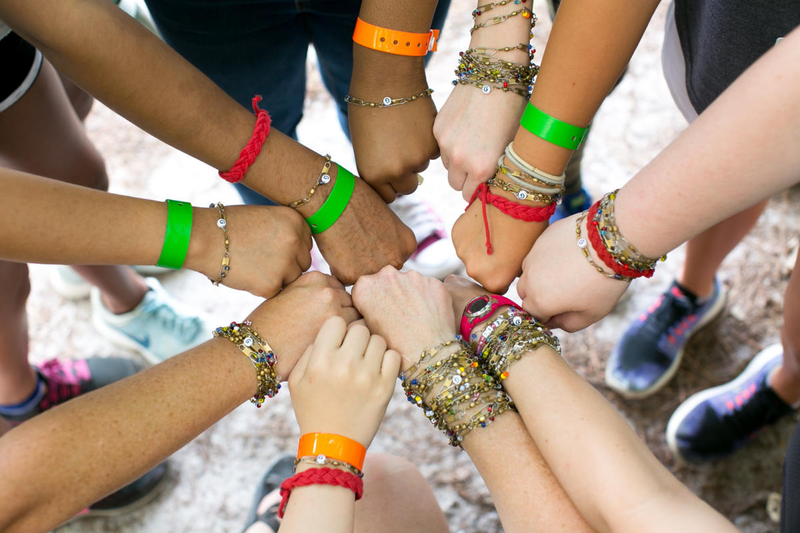 This unique camp is designed for children aged 7–17 who are or have been personally impacted by pediatric cancer. Summer camps are currently the heart of our program. 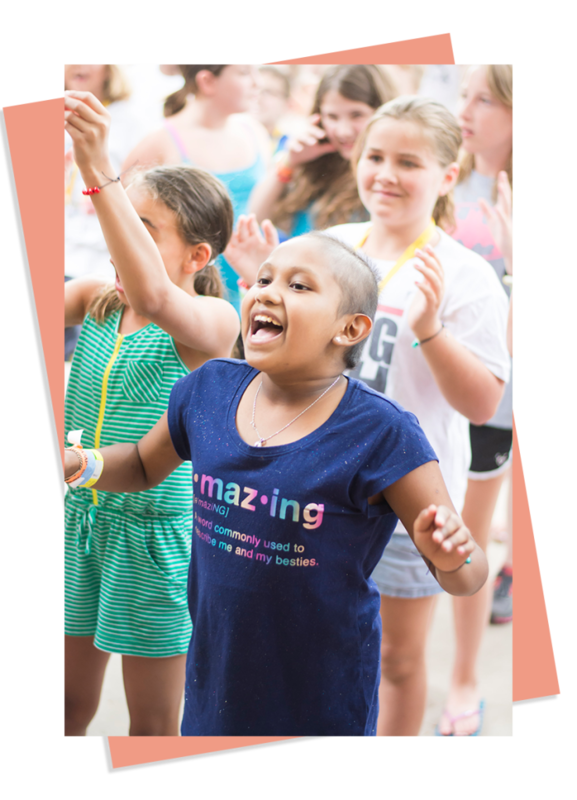 Each camp offers children or young adults the chance to grow, belong, and rejuvenate while surrounded by peers who understand the impacts of childhood cancer. Mini Camp: this 1-day pilot program (first-year trial) is open to a limit of 30 campers ages 5-6, including patients, survivors, and siblings. It’s meant as an introduction to Camp Goodtimes. Summer Camp Hozhoni is a weekend camp for children with cancer aged 18 and younger and their families. While the children participate in hands-on activities to develop creativity, physical endurance, mental challenges, and team building, the adults gain mutual support and understanding of childhood cancer family issues through support groups led by peers and professionals. Families are offered the opportunity to come together to build a family project, take part in a cookout, dance and participate in campfire skits and sing-a-longs. Furthering the well-being of those affected by cancer through empowerment, enhancement of their quality of life, and the creation of hope for the future. Helping to provide a life of rich quality and endless possibility. Generating awareness of the plight of those affected by cancer through advocacy.